Matthew mentions only men’s names because the women until the coming of Christ did not play a significant role for the rebirth of mankind. From the moment Virgin Mary gave birth to Christ the Savior the woman rose from the lower level to the equal level of man. Today in the spiritual world woman have a position as an advisor and assistant to man. The woman had the original sin but after the birth of Christ became collaborator of God and to her husband. Now the birth of Christ was as follows: after His mother Mary was betrothed to Joseph, before they came together, she was found with child of the Holy Spirit. When we say the Holy Spirit is vivifying, we mean that by its self has the power to create life from O (zero). Christ was born of the Holy Spirit which means the Spirit vivified Christ in the chaste belly of Virgin Mary. Holy Spirit gives life to the entire universe. Holy Spirit will fulfill, by the new disables of Christ, all promises; consequently the light of Christ will enlighten the whole creation. The voice of God is working to put in hands and in hearts of all Christians the gospel of Christ and then with proper management to all nations. Righteous is the man that every moment should forgive his fellow man. We must know that the righteous one is scarcely saved. Let’s remember that the righteousness of men demands but God’s offers. Righteous man is the one who understands the needs of others and with love helps them without having the intention to see them beg for it. But while he thought about these things, behold, an angel of the Lord appeared to him in a dream saying. “Joseph, son of David, do not be afraid to take to you Mary your wife, for that which is conceived in her is of the Holy Spirit. 21 And she will bring forth a Son, and you shall call His name JESUS, for He will save His people from the sin”. Where is He who has been born King of Jews? For we saw His star in the east and have come to worship Him. If the star was a vision it couldn’t be seen (as a natural star) by the three men in different places. God talks variously to man and to mankind. To the wise men God talked through the stars. The wise men were astronomers. When there is good will God talks variously to man. We must look for God with patience and perseverance and to be sure we will meet Him soon or late. Agitation comes due to lack of purification and sanctification. The secular lifestyle presents many riots and pettiness, because it’s governed by demons. Only God can protect us from the demons of agitation, egotism and jealousy. Herod suffered from agitation and this led him to slaughter thousands of infants. There is also a spiritual trouble which comes with the presents of God but this brings repentance, rebirth, devotion and dedication, at the end brings salvation of the soul and the physical body. Now when they had gone, behold, an angel of the Lord appeared to Joseph in a dream and said, “Get up! Take the Child and his mother and flee to Egypt, and remain there until I tell you; for Herod is going to search for the Child to destroy Him”. Then when Herod saw that he had been tricked by the magi, he became very angered, and sent and slew all the male children who were in Bethlehem and all its vicinity, from two years old and under, according to the time he had determined from the magi. This verse is teaching us about the terrible demon of jealousy, the inconsiderate passion of jealousy tears up love, establishes among the people the disgrace of envy for trivial reasons and sometimes without any reason. Depending on the amount of envy that comes from jealousy man wants the head of the other on a plate. The salvation of Christ (as a child) depended of His destiny as He later said in the gospel of John (7:6) My time has not yet come, but your time is always ready. In the case of Joseph we learn that the obedience to God’s command through the angel makes us vessels of honor, in fact God honors us in front of thousands of angels and saints. Confidence to God is indispensable for the spiritual edification, because God in this particular case unfolds and provides all the aspects of the gospel and the power of its application. This is the ideal point of a believer. Repent means to feel sorry to regret or to be conscience-stricken about a past action or attitude or deed have done it in the time of my ignorance which led me to an impasse. After the sincere repentance starts the establishment of the kingdom of God within us, it will take time. The angels of the Lord will help us to purify our selves, time is relevant to our impurity, but when we succeed to cleanse our selves then the king of universe comes and abides in His real palace, at this time we understand that the triune God is dwelling in us. We will have the virtues in a hundredfold we will love all men friends or enemies we will have absolute peace in us as well as with people. In addition we will do justice to the spiritual and material aspects of life. We will distinguish humbleness and meekness to the fullest. Blessed are the meek for they shall inherit the earth. Matthew 5:5. When the people of the Lord reach at this level of the glory of God then they will not ask for help they will say it and will be done. Consequently the sincere repentance brings closer the kingdom of heaven. We must know that the entire spiritual project of salvation is based on repentance. The great love that John had to God and the zeal to do His will led him to a non secularist way of living; he didn’t care what to eat how to be dressed. I wish to explore the maximum of our time to do the will of God focusing on our rebirth aspect. The more we approach God the less attract us the world and its aspects. When we love something the time is not enough for it, loving God it will give us free time to do His will. If there is no love to God then we excuse ourselves with various reasons and we comfort in them. If we continually study the wisdom of the Word of God striving for the paradise and the eternal life the spiritual change will take place without any particular effort. Hereby our joy will be great because we will be heirs of God to an incorruptible infinite inheritance accompanying us eternally. Brood of vipers are all those who use the will of God for their own benefit and personal glory. Let’s be careful, we didn’t put the gospel in our hands to sell spirit or to claim ourselves God’s sent. We put the gospel in our hands to study all beneficial elements to erect in us the kingdom of God, then with the living faith and the appropriate sacrifice to work for the liberation of the mankind from the bandage of sin corruption death and this I wish to all children of God. If we repent sincerely, we will have the fruits of the Holy Spirit the gifts and signs, if not we will have only words. And do not suppose that you can say to yourselves, “We have Abraham for our father” for I say to you that from these stones God is able to raise up children to Abraham. There are many men naming themselves Catholics, Protestants, Orthodox and other, they believe they are chosen of God but they have ignorance of the Word of God they do not know the will of God. Before two thousand years Jesus Christ wrote with His blood and His sacrifice the Holy Gospel. If they have believed His presence they could work with seriousness responsibility and love so today people should have unity love and spiritual completeness, since we don’t have them we remain in our sins. The axe is already laid at the root of the trees; therefore every tree that does not bear good fruit cut down and thrown into the fire. The mattock (axe) is to cultivate the fruit trees but also to uproot the barren trees. The axe is the evil that is always around us (as educator) to deify us or to exterminate. The water baptism unite us with God, the baptism in the Holy Spirit makes us gods. Threshing floor is men societies from all nations on the earth Jesus brought a social system of eternal life with incorruptible values for those who will accept Him, for the rest it is well known there are punishments. But Jesus answering said to him, “Permit it at this time; for in this way it is fitting for us to fulfill all righteousness.”Then he permitted Him. The baptism of Christ was not necessary in His life; it was designed to help us understand that we all must respect the religious conscience and the freedom of our brother, also not to offend the spiritual level of the brothers who are relying on some kind of ritualism or doctrine. Respect to the spiritual principals is the fascinate wisdom of God, but we must not hide our faith. The application of the word of God in our life through the noble emulation it is wisdom of God. Unfortunately, today socialism possesses man and rely faith on stereotypes interest and personal ambitions. John had the need to be baptized by Christ. Man is higher than Sabbath let’s not subjugating to Sabbath. Fulfill all righteousness is to respect others earlier destiny or any destiny given by God. The voice it was the real voice of living God calling Jesus His beloved Son in whom he was pleased. Now with us, if we want to please God the Father we must apply all His commandments to our life. We start with the study of the word of God then we dedicate time into our sanctuary to conceive and comprehend the presence of the Holy God, praying in crashed heart to reach the throne of God. To have faith and trust that all things work together for good to those who love God. Wilderness was the best natural environment for Christ to be tested, it was His sanctuary. Fasting is a method of releasing ourselves of a habit or dependence. It is also a way to create another system of thinking to our lives. And the tempter came and said to Him, “If You are the Son of God, command that these stones become bread. Jesus has believed, because Father God said it, you are the Son of God, from now and on man is not a servant is not any more a slave to God but a son. The voice of God call us sons and daughters, all Christians must not doubt, Holy God is our father. The word that proceeds of the mouth of God is the voice of the living God with the living faith aiming the eternal life the purity the holiness. On the pinnacle of the temple goes every man to be tempted. There is not temptation that Jesus went through and we will go through, to be acquainted with it. We need to have the sensors of our mind trained so when we come to the test to handle it with wisdom. An egoist (man) who does not know Christ will act egoistically and the result will be deadly. World’s history has presented many kings, marshals, rulers and leaders who fallen to this snare. For all those leaders the entrapment was that they became fighters and slaughters. Jesus declines the deceiver and became the first born Son of God, the leader of life the ruler God’s people. Jesus with the wisdom of God used the right verse at the exact time and repulsed the teaser. Knowledge of the word of God will strengthen us to do as Jesus did. Angels of God will come to serve us when we will decide to apply the will of God in our lives. The angels will help us unceasingly, to abolish and destroy him who has the power of death, establishing the kingdom of God in us and around us. The people who were sitting in darkness saw a great light, and those who were sitting in the land and shadow of death, upon them a light dawned. The people who sit in darkness are the Christians who unfortunately today their lives depend on money and drugs, as well as individual interests and personal ambitions. Those who have good will, faith in God and love among them they will see the light; all those who seek for wisdom and signs, God will lead them to His glory. Those who sit in the region and shadow of death are all men believing in death as an invincible power and inevitable event. Today the light of Christ came to our life. The light is the life of Christ let’s imitate Him. The light is the light of love of wisdom of humbleness of incorruptibility of the eternal life. I wish to understand the invitation we have received it is from the living God Christ. The invitation is for our individual sanctuary reading, studying and practicing the word of God, it will pass us from the sin to sinless from the ignorance to wisdom from corruption to incorruptibility from death to life. To spread the word of God is not a vocation it’s a duty. There are men that named themselves preachers Sheppard or appointed by God but their main occupation is fishing and flocking people for their own benefit. It will be obvious our spiritual maturity and our appearance will inspire confidence when our words and deeds are directed by the gospel of Christ. Let’s think about the appearance of Jesus, at His image the disciples left everything behind and followed Him. Jesus was going throughout all Galilee, teaching in their synagogues and proclaiming the gospel of the kingdom and healing every kind of disease and every kind of sickness among the people. The gospel of kingdom (when is preached) heals the soul and the body especially to those who suffer. With the spiritual interest to the gospel of kingdom we can conceive and vivify our body. Jesus said: and this gospel of the kingdom will be preached in all the world as a witness to all the nations and then the end will come. Matthew 24:14. This gospel of the kingdom has clear targets. The first is, people of God will be governing by consistency. Jesus at his prayer said: Now I am no longer in the world, but these are in the world, and I come to You. Holy Father, keep through You name those who You have given Me, that they may be one as We are. The Holy trinity, the three faces have appeared to the world working differently, because they have a different deed to accomplish in the humanity, although they are one. Likewise we have distinct personality and different spiritual destiny but one spirit, this spirit will reveal the multifarious activities of God in us and around us. The second is people of God must be undivided. The fallacious method of reasoning the divisions it is not the will of God. The principals for the unity are; love bears all things love believes all things love hopes all things love accepts you as you are. The third is the gospel of the kingdom will secure to the rebirth men living faith and living faith will transform and transfigure our spirit and body. And whoever lives and believes in Me shall never die, do you believe this? The gospel of the kingdom will abolish the physical death and will erect the incorruptibility within us. The kingdom of god is within you and the violent take it by force. Today nearly all Christian churches believe the kingdom of God is in heaven somewhere in the sky of course after death, this is a gimmick, we believe the kingdom of heaven is at hand precisely must be established within us. Jesus placed the first rock of the kingdom by healing the disease casting out the demons resurrecting dead. We have to do the same but first let’s resurrect God in us and then around us. Death is the achievement of sin; for the wages of sin is death. If a poisonous snake bites us we run to the hospital for an antidote. For the sin there is an antidote it is the word of God and the voice of God. If this gospel of heaven does not be preached and the sinless incorruptible life does not reign on earth Jesus Christ is not coming back, because it’s written; God said to His Son sit at My right hand till I make your enemies Your footstool, the last enemy that will destroyed is death. Let be done Amen. The crowd is and presents spiritual instability; it needs patience and persistence until be born again, without rebirth crowd is dangerous. One day multitudes cry blessed is He who comes in the name of the Lord and the other day cry crucify Him crucify Him. Sciolism of the crowd is worst of ignorance. We need to distinguish the mob around us and to be careful, but love discovers manners and creates systems for the salvation. If we have love, God’s love, we will gain people’s love and all together with the power of Christ and under His instructions we will create the spiritual rebirth and this will bring the kingdom of God within us, making us at the image of the invisible God. Poor is the one who knows a lot succeeds in many but he feels like nothing in front of God’s wisdom. We must continue to study to evolve and meliorate ourselves aiming the spiritual level of Christ, who by the obedience to His Father became possessor of the incorruptible eternal life. This is the fascinate wisdom of God and appears with fruits gifts of the Holy Spirit. Here it doesn’t mean for the loved ones but for the sin that works on us. Those who mourn look at the innermost of themselves and every day upgrade and rebirth into Godliness. At the end of the effort the gospel of Christ replaces the mourning with ineffable joy of God. Lenity is fruit of the Holy Spirit. Gentle is a man when does not get offended by others. Gentleness harmonizes the function of our spiritual and physical body and our physical body is part of the earth. Hunger and thirst are all those who study the Old and New Testament therefore to decipher the mysteries of the kingdom of heaven. To all those who hunger and thirst the wisdom of God working and striving to discover the eternal life, they will be satisfied. A merciful man has a high position in the spiritual world because he can forgive he can hag people from any dogma; merciful man is presence of God in the world. If we learn to forgive we will be forgiven when we love then we will be loved when we give mercy we will get mercy. In the manner we judge will be judged, let’s judge with the mercy of God. Blessed are the pure in hart, for they shall see God. Purification and sanctification of our hart and our brain will open the spiritual eyes to see God in us and on the faces of all people on the earth as well as the presence of God on the planet earth and the entire universe. The spiritual world is praising and glorifying God: Glory to God in the highest and on the earth peace, good will toward man. Peacemakers are those who have peace with God and with the fellowman but first they have the wisdom of God the wisdom of men and so they know their mission and their destination. The large gap between God and man has bridged with the coming of Jesus. Man is no longer a servant to God but a child. The Lord urges us to become peacemakers therefore sons of God. Blessed are you when people insult you and persecute for the sake of righteousness, for theirs is the kingdom of heaven. Righteousness is a big chapter among us and in the kingdom of heaven. In the Old Testament righteous man is anyone who believes and obeys to God’s commandments, in the New Testament is the one who forgives. Jesus shows another chapter of righteousness. He respects the destiny of John the Baptist also He forgave those who crucified Him. For us: The righteousness of men demand the righteousness of God offers. Persecution and accusation is the deed of the evil, evil is an educator, let him do his job and as long as we belong to Christ he unables to harm us. You are the salt of the earth; but if the salt become tasteless, how can it be made salty again? It is no longer good for anything, except to be thrown out and trampled underfoot by men. 15You are the light of the world. A city set on a hill cannot be hidden; nor does anyone light a lamp and put it under a basket, but on the lamp stand, and it gives light to all who are in the house. 16 “Let your light shine before men on such a way that they may see your good works, and glorify your Father who is in heaven”. We use salt for many gastronomic delights but the right amount of salt relish the food we eat. Likewise the virtues of the Holy God become a tasty spiritual food to the society as corollary to glorify the name of God. When salt is too much in the food men detest it, like too much of egoism or fanaticism. When the salt is little in the food then the food becomes tasteless which means we have many mistakes and few virtues. The city that rest on the hill are the virtues that reformed men’s personality and we see the unfeigned love, the modesty, the living faith, the peace, the wisdom in the way of thinking the healthy hospitality. Literally the deeds of love must dominate our life; this is the city on the hill. Do not think that I came to abolish the law or the prophets; I did not come to abolish but to fulfil. 18For truly I say to you, until heaven and earth pass away, not the smallest letter or stroke shall pass from the law until all is accomplished. 19whoever then annuls one of the least of these commandments, and teaches others to do same, shall be called least in the kingdom of heaven; but whoever keeps and teaches them, he shall be called great in the kingdom of heaven. The law and the prophets are enough to bring us up to the throne of God. The gift that should be offered to the altar is the sanctification of our being of our inner world through the sacrifice, on a personal level dedication, at a general level offering. With behavior we will gain the interest of God. When God sees on us seriousness and love comes down meet us and blesses us. Basically we give a living sacrifice pleasing God. Living sacrifice is to put my body in the service of the Holy God. Thus I should sacrifice the bad part of myself at the altar of Christ and to manifest the good self to God and to people. The human brain is an altar which gives through the senses fragrant aroma or stench. Righteousness of the scribes and Pharisees is the system of hypocrisy. Jesus was against the hypocritical action of the Pharisees. Our righteousness must be forgiveness and offering to the need of others. Bu I say to you that whoever is angry with his brother without a cause shall be in danger of the judgment; and whoever says to his brother, “Raca,” shall be in danger of the court; and whoever says, ‘You fool,” shall be guilty enough to go into the fiery hell. The word (raca) is Syrian and has a contemptuous meaning as (empty, void, vain, futile). God made man in his image and his likeness. Leave your offering there before the altar and go; first be reconciled to your brother and then come and present you’re offering. God has no need of gifts he is asking from us to forgive and love each other. Make friends quickly with your opponent at law while you are with him on the way, so that your opponent may not hand you over the judge and the judge to the officer and you be thrown into prison. 26”Truly I say to you, you will not come out of there until you have paid up the last cent. The adversary is our bad self, our conscience must inform for the fulfilment of God’s commandments, we have to listen to our conscience and it is like a small god into us. Listening to our conscience we might avoid events which are leading us to an impasse. The prison is the mental impasse; it is wisdom of God listening to God. You have heard that it was said, “You shall not commit adultery”, 28 but I say to you that everyone who looks at a woman with lust for her has already committed adultery with her in his hart. Marriage with the spirit of God and temperance vivify the man and leads him to dedication then God increases the spirituality and liberates the man from passions because passions cause hormonal imbalance to the body and bring death. Paul said, but if they cannot exercise self control let them marry. Adultery is a transgression; it needs spiritual completeness and wisdom of God to avoid it. Basically when a couple has rebirth into godliness passions and outside factors cannot affect them. Stumble leads the soul and the body to perish. Woe to him through whom the scandal comes, woe to him who gets scandalize. Both are in a spiritual impasse because the wisdom of God says. Everything works for good for those who love God. When we scandalize or get scandalized, it means Christ is absent and sciolism governs our life. But when practicing the will of God and scandalize others then it becomes a way of salvation to the soul and to body to us and to our people. It was said, “Whoever sends his wife away, let him give her a certificate of divorce”, 32 but I say to you that whoever divorce his wife for any reason except sexual immorality cause her to commit adultery and whoever marries a divorced woman commits adultery. Separation comes when Christ is not reign to our life. Today many couples get divorce, those who do not divorce they remain two cohabitant enemies. We have to rebirth in Godliness, we have to know that our freedom ends where other’s starts. Jesus Christ unites the couples and corrects them spiritually to do the will of God. When there is no God there is nagging, egoism, benefits, ambitions, deprivation of freedom, complains, malice and many more, in other words there is the presence of evil. The cause of separation is the spiritual no rebirth. Where separation or divorce has come, never mind, we go ahead study from our mistakes creating and erecting a new start, life goes on, looking back it doesn’t edify us, Jesus has mercy for us. Let’s remake our life with Christ but not with our inabilities. Jesus said: the sons of this age marry and are given marriage, but those who are consider worthy to attain to that age and the resurrection from the dead neither marry nor are given in marriage for they cannot even die anymore because they are like angels and sons of God. ‘But let your statement be, “Yes yes’ or “No no” anything beyond is of evil. Not vows nor justifications and excuses, the truth is the largest vow and let those who want to believe it or not. Justifications and excuses hide lies. We don’t have anything to fear the truth for us is the true, God knows the heart of every person and the reason for every particular action. This is a high element of the unfeigned love. Make friends for yourselves by unrighteous mammon. Let’s use the material factor to show our love, giving is a virtue. Christ gave His life ransom for many and taught with His life the kingdom of heaven. Give to him who ask of you, and do not turn away from him who wants to borrow from you. If we borrow to borrow an amount that can easily forget but not be exceeded in order to show them that we are good and helpful. Love for enemies means awareness of God and knowledge of the fascinated wisdom of God. Enemies are those who work out our own spiritual and physical salvation. By the way love them (enemies) for they become an example to us so we can see the form of sin and to avoid it. Our love to them works as a compass because it develops conditions of rebirth in their lives, then our example will bring them closer to God. He who turns a sinner from the error of his way will save a soul from death and cover a multitude sins. Let us become children of God and we will never regret it. Therefore you are to be perfect; as you’re heavenly Father is perfect. Perfect is Christ. Those students, who follow him into their entire life under any circumstance shaping their character godly, they will too become perfect. We have two helpers leading us to spiritual perfection; the one is honesty and the other responsibility. When you pray, you are not to be like the hypocrites; for they love to stand and pray in the synagogues and on the street corners so that they may be seen by men. Truly I say to you, they have their reward in full. 6 But you, when you pray go into your inner room, close your door and pray to your Father who is in secret, and your Father who sees what is done in secret will reward you. The hypocrites do not pray to God but to people to get from them the thumbs up. Prayer in secret places is addressed to God, the reason we are aware and it is through our own will and we are not motivated by the people. Prayer is the key for the incorruptible immortal life. Vain repetition reveals an uneducated brain, that man prays not with awareness but by fear thus covering his conscience, if we observe his life has nothing common of what he is saying, he looks like a young child who recites a poem without knowing what it means. Anyone who prays and uses meaningless repetition remains uneducated. Your kingdom come. Your will be done, on earth as it is on heaven. It is the order we give to ourselves and to God with a view to submit to the will of God. When we say let there be your will it is to say our will does not exists. And do not lead us into temptation, but deliver us from evil. For Yours is the kingdom and the power and the glory forever. The temptation is instantaneous; the test can last from months to years. The temptation comes to awaken us spiritually and show us that without God life is unpredictable. The test is coming to ameliorate us also for our spiritual rebirth and show us how should evolve in order to know our selves. After all let seek help from God focus on the cause of the mistake and therefore not repeat it. For if you forgive others for their transgression, your heavenly Father will also forgive you. 15 but if you do not forgive others, then your Father will not forgive your transgressions. As much as we forgive the more we will be forgiven, righteous man is the one who forgives throughout the day. Whoever you fast, do not put on a gloomy face as the hypocrites do, for they neglect their appearance so that they will be noticed by men when they are fasting. Truly I say to you, they have their reward in full. Fasting and abstinence are designed to find our spiritual forces; these forces show us that life is not depending on food and assets. Jesus said: Man does not live on bread alone. Life does not consist of things we possessed. At first the mechanism of life moves by food then performed by the Holy Spirit and living faith. This kind does not go out except by prayer and fasting. Let’s have abstinence and always to live with every word proceeded by the Holy Spirit. Jesus said: Man does not live on bread alone, but on every word that comes from the mouth of God. When we have God in our life we will see the logic to change, the food gets second place and the word of God gives us health the spiritual health of Christ. Health exists in our life when there is psycho-emotional psychological mental and biological balance. Our health is not guaranteed if only our biological body is well but when the psycho-emotional part is added by the wisdom of God. When the spirit is sick it is a matter of time and the flesh will get sick. Do not store up for yourselves treasures on earth, where moth and rust destroy, and where thieves break in and steal. 20 but store up your selves’ treasures in heaven, where neither moth nor rust destroys, and where thieves do not break in or steal. Root of all evil is the love of money. All the avaricious men must know that the first (man) creates and accumulates, the second adds a little, but the third spends them all (great spender).The rich cannot trust God because they have faith in the material element. Let us be good stewards of the material and intellectual property that God has given us to manage here on earth because we will give an account for improper handling. No one can serve two masters for either he will hate the one and love the other or he will be devoted to one and despise the other. You cannot serve God and wealth. The years in which we live are not enough for us to develop the material and spiritual goods. If we improve the material factor we will become like the rich fool man. Luke 12: 20: But God said to him, “You fool! This very night your soul is required of you; and now who will own what you have prepared?” But if we look for the kingdom of heaven then we will have plenty of time for the material like Abraham Joseph and many more. Let seek for the spiritual property first and all others will be added. If we born again we become good stewards if not we become inaccessible avaricious and greedy asking money for every spiritual right we might have, misusing the spiritual and material assets that God gave to manage. For the gospel of the kingdom does not need money but God’s people in the image of Christ. For this reason I say to you, do not be worried about your life, as to what you will eat or what you will drink; nor for your body, as to what you will put on. Is not life more than food and the body more than clothing? The day care comes one after the other and it is a trap because it creates many obligations and steals our time. Look at the birds of the air that they do not sow nor reap nor gather into barns and yet your heavenly Father feeds them. Are you not worth much more than they? Time is precious; it is wise to use it for our rebirth. For the Gentiles eagerly seek all these things; for your heavenly Father knows that you need all these things. When we will understand that the spiritual and material goods are given to be used for the glory of God and the salvation of the mankind then we will know that we don’t need money to do the will of God. It is obvious we cannot bay a good heart, or love, or peace, or joy, or spiritual fruits and gifts with money but by practicing the will of God. Seeking for the kingdom of heaven it doesn’t mean to create a private isolated group of men worshiping God under men’s commandments calling all the rest unbelievers heretics perished. The dragon (judgment) does not fit to the kingdom of heaven to (the kingdom of love). There is no bigger demon than judgment. Specifically when someone lives in judgment continually performs the worst disaster in his physical body; judgment brings corruption to spirit and to flesh. In a man the bigger the ego is the greater the judgment. In the book of revelation is written. Then I heard a loud in heaven, saying, “Now the salvation and the power and the kingdom of our God and the authority of His Christ have come, for the accuser of our brethren has been thrown down he who accuse them before our God day and night. If judgment gone salvation will arrive love will come Christ will reign death will be abolished. We as (voice of god) suggest, if someone wants to judge correctly a friend or enemy, must go back in time and born to the same place, to have the same family, to have the same neighbors the same teachers the same friends and live the same situations and then he might judge properly. In as much as this thing is impossible to be done it is better not to judge any possible judge it is wrong. Let’s be careful there is a big difference between discern and correct ourselves judging the behavior of others or judging and condemning others. “Why do you look at the speck that is in your brother’s eye, but do not notice the log that is in your own eye?” 4 “Or how can you say to your brother, let me take the speck out of your eye and behold the log is in your eye? You hypocrite fist take the log out of your eye and then you will see clearly take the speck out of your brother’s eye. That it bothers us is something we have in us, let’s cure myself first and then help others. Ask and it will be given to you; seek and you will find; knock and it will open to you. Ask and it will be given to you. We have to ask from god to give us the time , the appetite and the intension to be born again. If we do not have spiritual appetite we are like the man who is sick and despaired. God provides everything, asking from God it means I know that God is the source of life. Seek and you will find. We have to seek in the word of God to look for what we need to find what we need and what it benefits us. Since we seek in the scriptures we will find all the solutions to our problems and the elements to be reborn. Seeking in the word of god we will have the answers for the spiritual laws for the hidden mysteries. The word of God is the greatest gift to us. Knock and it will open to you. If I get sick I call for healing, if I am in prison I seek for the freedom, if I am in a maze I look for the exit, if a tsunami is coming I run for a saved place. Sickness prison maze and tsunami all these are the world of evil. Let’s knock god’s door Jesus is waiting for us. Through the study prayer preaching the door to happiness and to eternal life will open. Let’s insist on knocking with patience and persistence stay at our privet sanctuary and the door to eternity will open for the children of God for the brothers of Christ. Enter through the narrow gate; for the gate is wide and the way is broad that leads to destruction, and there many who enter through it. 14 For the gate is small and the way is narrow that leads to life, and there few who find it. The narrow gate is the sanctification purification the prayer the spread and the awareness of God’s will. It is also the unfeigned love to every man friend or foe. God is accepting us as we are; let’s accept others as they are. The route of loss is the sin in general the substantial removal of the living god. Staying far of God it is hell it is perish. No rebirth is equal to corruption the death of soul and the body. Our previous life makes the gate narrow. If we decide it, we’re going to make it. Today what it helps is the healthy teaching. Health teaching is contributed for free, by the voice of god, aiming the rebirth of the mankind. Beware of the false prophets, who come to you in sheep’s clothing but inward are ravenous wolves. False prophets are all those who make fanatical with doctrines and ideas that reach extremities and wards. What the gain is the soul of the believer to serve dry and profitless types of interest and ambitions of their own. Be aware of the false prophets. And then I will declare to them, I never knew you; depart from Me you who practice lawlessness. Lawless man are all those who are not adopting human and divine laws. All activities for them are to create personal gain and glory. If we all are ready to enroll the law and the will of God, our life will be under the guidance of God’s wisdom as it should be. I wish to conceive the meaning of the men’s law and God’s will. The rock is Christ and leads the believer to sanctification purification to rebirth. In the rebirth we become like the rock Christ, let’s strive to achieve it. If we really be devoted in short time we will reach the target our destination. Rock it means a man who stays steady to his principles under any circumstance he might be. If we erect on the rock (Christ) our spiritual edifice remains eternally. When Jesus had finished these words, the crowds were amazed at His teaching; 29 for He was teaching them as one having authority and not as their scribes. The authority of speech comes when we fully apply the commandments of Christ in our lives. The authority is determined by heaven wisdom which decodes all the mysteries in the simplest way, leaving everyone speechless and amazed. The scribes does not speak with authority because they repeat only what Christ did in words they never practice it, but if they practice they perform men’s commandments. It is a natural cause for the new Disciples of Christ to understand which teaching to follow and with whom to communicate, in view of the fact to complete the rebirth and the fulfilment of the perfection. But the centurion said, “Lord, I am not worthy for You to come under my roof but just say the word and my servant will be healed. Sin is what prevents Christ to come to our home. Sinless and practicing the will of God brings Christ into our home. However God does not count sin (because he is love) to those who have ignorance but to those who know and have repented. God is not hindered by pettiness order to conciliation with man, for this reason God always gets initiative and comes to our house God in many ways makes His presence because He sees the hart but not the frivolous words that come from ignorance. Our body is the temple of the Spirit of God in this body enters the glory and manifests with incorruptible elements his presence within us. For I also am a man under authority with soldiers under me; and I say to this one “Go” and he goes and to other “Come” and he comes and to my slave “Do this” and does it. For the development of mankind God created; Angels, Cherubim, Seraphim, Archangels, Authorities, Principals, Titles, Sovereigns, Thrones. All these spiritual entities (beings) are working with the men for the men under the guidance of God. The word (speech) is the superior power of God offered to man. The centurion although he was a gentile he had conceived the power of the word, Jesus was marveled of this because God has no partiality and reveals to his children according to the pure hart of each one. “I say to you that many will come from east and west and recline at the table with Abraham Isaac and Jacob in the kingdom of heaven; 12 but the sons of the kingdom will be cast out into the outer darkness; in that place will be weeping and gnashing of teeth. 13 and Jesus said to the centurion, “Go it shall be done for you as you have believed.” And the servant was healed that very moment. In the begging Jewish where the chosen people of God, God’s concession. Jewish did not accept Jesus as the Messiah and now wander astray basing their lives on the material sector, like many others. People, name them Christians, do not apply in their lives the substance of the gospel and rest in dry formalism believing that they leave in the kingdom. Since God is incorruptible and immortal life but we do not leave the incorruptible life so we are outside of the kingdom. God is God of living but not of dead; indeed we keep the imperfect knowledge and intellectual naiveté to search for Him in the afterlife. This believes is a fallacy. The faith that brings God inside us and vivifies the body is the healthy teaching of the scriptures. What is the benefit when churches are filled with people who have no love no gifts no life, although they say, we are people of God, they are out of the kingdom. This happened to the Jews, believing that Jesus was not from God, crucified Him and kept the formalism. Healing resurrecting and casting out demons where the deeds of Jesus. He was practicing verse by verse the word of God; His destiny was to fulfill them all and to reveal the real Father God but not a man made God. He offered everything for free without any exploitation of the innocent people. Who dedicates or devotes his life to Christ creates new life new family of new brother new friend new spiritual property. Once a man had devoted to God, after a while he inherited a property urgently he started to liquidate and give it away to the poor. Someone said to him, what are doing we all are seeking to have assets property and you donate it, and the devoted man replied, when I devoted to God I said from now on I am dead for the world and I live only for God how can I be resurrected and go back to secularist interests. Jesus was dedicated and devoted to Father God. Relevant to dedication and devotion are the fruits the gifts and the destiny to the kingdom of God. Allowed to suggest that those who bury the dead are all dead, but if, the future dead, decide to born again the sin the corruption the death will not prevail against them. For a rational man who will conceive the will of God abandoning the present system of life, which leads to an impasse, adopting the wisdom of God will defeat death. Let the dead bury their own dead. And behold there arose a great storm on the sea so that the boat was being covered with the waves; but Jesus Himself was asleep. In the absence of Jesus Christ the serenity and calmness turns into confusion and agitation. The waves are the problems in our live, when the king of the peace (Jesus) comes; the waves (problems) turn to calmness. Our ignorance creates the wins and the waves in us and to our environment. Jesus carried the cross in peace because he is the greatest peace maker on earth. With God`s wisdom peace and dignity let`s confront the problems of life and Christ is beside us and leads us to the port of eternal life. And they brought to Him a paralytic lying on a bed. Faith is the driving force of everything but there are two kinds of faith the shadow and the living faith. We have the shadow faith in which Christians today are complacent with no effect basing their lives on the money and drugs. The living faith is the faith that God wants and make man god. With the living faith man gets rebirth and elevates at the level of a god, but faith must work through love other wise man turns to evil without realizing it even though invoking the name of God. When there is sin in man’s life the result is the dead end. Sin manifests spiritual littleness, pain, disease, corruption and death. God through the sincere repentance forgives the sinner and the wrong way of living, voluntarily or involuntarily chosen, man gets healed, the health returns with well-being and joy. Since Jesus was forgiving sins instantly healing was occurred to the spirit and the body. We must pay attention when we forgive the sins and the problem remains we have to change the way that we approach God. Jesus said what I do you can do, even if we do not succeed it is better not to perform spectacular spiritual actions persuading our fellowmen that we have powers. Many men try to justify their misbehaviour and sin by offering gifts to persons and temples, God is not pleased in these sacrifices. The only sacrifice that God is asking from us is mercy for others and forgives our debts as we forgive our debtors. The deeds of love and the sacrifice of forgiveness will bring us to heaven. And Jesus said to them, “The attendance of the bridegroom cannot mourn as long as the bridegroom is with them, can they? But the days will come when the bridegroom is taken away from them and then they will fast. As Jesus said it, after his ascension the disciples start the ritualism fasting and keeping formalities. The man who does not evolve is dangerous for himself and for others. Faith is needed, but willingness for evolution development progress and melioration are also significant factors for the believers. But Jesus turning and seeing her said, “Daughter, take courage your faith has made you well.” At once the woman was made well. The living faith of the deeds will lead us to the throne of God; the shadow faith will lead us to perish. The living faith increases with many years spiritual struggle. The living faith with the healthy doctrine exists in the word of God and in the spiritual property of the voice of god and will ascent us to the heaven. Only by the sincere repentance and rebirth the living faith will start to work within us the indestructible life. The indestructible life is already within us but is waiting the Holy Spirit to reactivate so the word of God and our will to produce the imperishable eternal life. He said, “Leave; for the girl has not died, but is asleep.” And they began laughing at him. 25But when the crowd had been sent out, He entered and took her by the hand and the girl got up. Death is a kind of sleep and sleep is a kind of death, but the unbelief of man is against the presence of God. When the crowd of unbelievers was put outside, the glory of God resurrected the girl. Today unbelievers of God believe in death. Throughout the centuries marveled multitudes come and go admiring and wondering but has not change anything in their lives. Unfortunately people are remaining as multitude and mob, one day shout hosanna and the other screamed crucify him. Have the authorities’ part of responsibility? Or each one of us has the responsibility? Jesus said I am not of this world, where I go you cannot come. It easy to despise what you cannot get. For whatever you judge another you condemn yourself. Then Jesus went about all the cities and villages, teaching in their synagogues and proclaiming the gospel of the kingdom, and healing every kind of disease and every kind of sickness. The gospel of the kingdom will obtain health of the body and soul. In fact, for those accepted the gospel of the kingdom slowly will heal themselves. Since today the gospel is preached and people are not cured goes to say that the spiritual leaders are not preaching the gospel of life but other which has the power to drive the leaders to personal ambitions and interests as well as the people to ignorance. The gospel of the kingdom has four phases. The first phase is: we must not for any reason to be divided, since we have the same God father. Division is the deed of evil caused by accusations and judgment to our brothers in front of God and men day and night. The second phase of the gospel of the kingdom is the consistence. We will respect the intellectual habits of our fellowman and to govern us coherence to the basic elements of the gospel. Holy Father keep through your name those whom you have given Me, that they may be one as we are. We should find elements in the scriptures that unite us without eliminating our personality. The third phase of the gospel of kingdom is the integral. This gospel does not reject life by life and does not transfer back in heaven the kingdom of God while His promise is to become the will and on earth. The fourth phase is what unites all previous as Christians need to have all the above. The Lord asks for volunteer workers but not under waged Heads. The Lord will gather His laborers under His spirit to collaborate for this harvest. Harvest is this life if we collaborate with Christ we will inherit the kingdom of heaven today and forever. The powers are always there given by God. What we need is to become Disciples of Christ so our power and our authority to act with love toward interest of love of God and humanity. A grate authority is to be ideal man with God’s principles so this authority does not lose value turning into egoism. The way to study authority, is to keep within us the virtue of the virtues humbleness, God will fill us with fruits of the Holy Spirit. Only those who chose God will gain authority. Anyone with maliciousness who grabbed authority will find himself in spiritual impasse, at the end he will be perishing, unfortunately he will hear: go away the workers of iniquity. I wish not to be done to us. I want us to know that the greatest sin is to pretend one’s shepherd master envoy and exploit the ignorance and imperfect knowledge of others. Sadly this is happening today in a very large scale. May God bring His own people in order to shape our own world to an earthy paradise? The lost sheep is all people today who got a religion without being aware of it, or all these who are not acquainted with God and His Son as well as the Holy Spirit with celestial elements that appears. There are many lost sheep among us; in fact we were lost sheep for long time. So people who do not know God remain orphan. 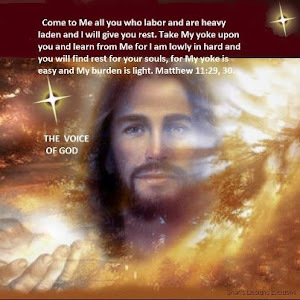 Thank God for the invitation we receive to become His children, to be acquainted with the voice of God. Heal the sick, raise the dead, and cleanse the lepers, cast out demons. Freely you receive, freely give. For those who will accept Christ and His teaching will get healed. Through Jesus Christ a substantial healing will take place in our spirit, it is something we really need it. The rebirth cures our souls and our bodies, it takes time, and this effort needs patience and persistence. We have to please God with our behavior and He will give healing to us and to our brothers. In the world today money is the priority of life. It is a deed of love when the money management is for the glory of God, salvation and reborn of our fellowman. According to our freedom of choice we will work and participate the deeds of offering, those who have in abundance given to those who lack. “And whatever city or village you enter, inquire who is worthy in it, and stay at his house until you live that city. 12 As you enter the house give it your greeting.” 13 “If the house is worthy, give it your blessing of peace. But if it is not worthy, take back your blessing of peace. The elects are the worthy to know the mysteries of the kingdom of Christ in order to adopt them. The inquiry is conducted and revealed by the impeccable example how they accept the messenger of God. Unworthy are all those who do not apply the word of God and those who have the stubbornness theory --- even you convince me I will not be convinced. Worthy is the one who study pray preaches with love the will of God, also observes in detail and corrects himself therefore to be born again. The dust represents all the conversation and discussions we might have with persons who are prisoners of their own mentality, jailed to their own theories of vanity. When man has ignorance of God’s will behaves like a wolf who may find that good mangling around in order to save his hunger. To exercise caution until the man be born again so that will behave with understanding and love. Care should be taken not to give the Holy to dogs and turn to us and mangling. “Brother will betray brother to death, and a father his child; and children will rise up against parents and cause them to be put to death. The spiritual jealousy and the imperfect knowledge is the driving force that unwittingly leads us and our brothers to death. We should watch carefully the angel of light who through jealousy acts within us and around us. There is no need of jealousy in our lives. We must understand that the progress of our brothers in any field will help us, because they will share with us the blessing of God. Be aware of him who has jealousy, so we should not cause the increase of jealousy in him and then we might become target for revenge. The spiritual progress comes with humbleness with love with noble emulation. God knows the intention and edifies His children according to the destiny and dedication on what we ask for. The world history has many examples that authority in hands of perverted minded men had caused wards massacres disasters, but the destruction of the soul takes place in the everyday life in the family at the schools in a small or big society. The theories about men’s made morals, men’s made systems of corruption, men’s made theories of vanity, men’s made religions are those who defile and destroy the soul and the physical body. Through the centuries these verses had many ways of interpretation, practicing and preaching. Today Jesus is revealing other ways of confession we know Jesus is the truth the way and the life. Since we express our thoughts using the truth in our speech in our words we confess Jesus and we externalize the God who abides within us. Denying Jesus is when we use lies, we are confessing the father of lie, a very common behavior of mankind. “Do not think that I came to bring peace on earth; I did not come to bring peace, but a sword. This verse comes to a contradiction with the verse; Matthew 5:9 Bless are the peacemakers.....It takes time and dedication to understand when the Son of God becomes sword in our lips. Daughter-in-law against her mother-in-law is not a rare phenomenon, when there is exploitation of children to parents or from parents to children then the word of God (Jesus) applies righteousness. “And a man’s enemies will be the members of his household.” 37 “He who loves father or mother more than Me is not worthy of Me; and he who loves son or daughter more than Me is not worthy of Me. We know among couples or families sometimes there is oppression manipulation and exploitation in a nutshell co-habitant enemies. Jesus said: but rather fear him who is able to destroy both the soul and the body. The absence of freedom of choice of self confidence of the freedom of believe lead us to slavery. Jesus is the savior because He is the way to the freedom of all evil spirits of all evil men. The wooden cross it was for those days, the small metallic ornament cross is for today but the mental cross it will exist till man will be born again in Christ. A totally reborn man is worthy of Christ. Dedication, God is asking from all of us, to sacrifice this small sinful life so then to gain the other sinless incorruptible eternal life. I believe is worth it to strive through the rebirth and I am sure after such a decision God nothing will deny us, moreover, the life for me begins after the rebirth. The emissary is known from the long struggle that is conducted for the glory of God and the salvation of the world. Sent is the one who bears the genuine teaching of Christ who heals reborn and vitalize man particularly the young Disciples of Christ. God’s sent is the one who matters for the revival of God’s people and especially for the flock that God gave him, to work with sacrifice day and night. Envoy is the one who is not interesting for titles and honors. Emissary is the one who works to animate the man and the mankind without partiality sacrificing everything. He who does not lose his reward is the one who shares whether spiritual or material with the view to the glory of God and the salvation of the world. Are you the coming one or do we look for another? This question became a snare to John the Baptist. Today for us there are other questions. Is he a person sent by god? Should we listen to him? Who is this man? To avoid this trap, which is placed by god for the sly foxes, we must, circumstantially, study and practice the word of God, aiming to a totally born again stage of our spirituality. The dedication, the blameless life, the unfeigned love, the unstained behavior, will become an approval example of who is the coming one in the name of God. Indeed, the highlight is that, this man does not lose his faith, does not abandon the struggle under any circumstances, facing anything as God’s will. An envoy is not the one who makes good speeches, but the one whom under various temptations, with scrupulous veracity, continues to fulfill his mission. For an envoy the will of God is the highest priority. All other issues are secondary in his life. And you do not lead us to temptation. The temptation has effect on a non reborn man. If we get offended and lose our inner peace then we need to work on our spiritual issue. But if we can cover other’s mistakes then we have reached the level of divinity. Admittedly, the one who scandalize and the one who gets offended are in the same fate. The least in the kingdom of heaven is the one that today follows God’s will, practice the word of God, abolish the sin and enters to incorruptible substance of deity. Vindication by god has nothing to do with the judgment of men. Sadly for those who know only to judge, to criticize and accuse others, justifying only themselves. They are worthy not to see the kingdom of heaven. If we give a look to Jesus Christ’s disciples we see them simple ordinary men. There were not high educated or great and dreadful upper class people. God picks simple unknown people for Him to make them famous and wise. For the worldly important men God has another plan to serve Him. Anyone who wants to rest must implement the commandments of God, the wisdom of God, the mercy, the living faith, the rebirth, to form a character and to shape a personality filled with the spirit of God. The wisdom of God creates humbleness the humbleness attracts the glory of God the glory of God is the salvation of the world. Let’s know that he dares to win. Moses named Sabbath the seventh day of the week, day of the Lord, the day that man must glorify God, but not criticizes and condemns each other. “But if you had known what this means, I desire compassion, and not a sacrifice, you would not have condemned the innocent. God desires mercy and not sacrifice; this is the mental healing we all need. We have to forgive our friends and our enemies. When Peter asked Jesus, how many times I have to forgive my brother seven times? Jesus replies I don’t say to you up to seven times but up to seventy times seven. The sacrifice of over-protecting, of over-supporting, of over-serving, of over-loving is weakness and partiality. Jesus was not only reading the scriptures but practicing. For all those verses, that Isaiah had written, Jesus applied in his life and became an example to all of us. Christians have received the spirit of God through the baptism. Practicing these verses in our life we start the spiritual progress and we enroll ourselves to the will of God. We practice verse 20 by respecting the aspect the religious conscience and the freedom of others. Verse 21 is for all those who will achieve to erect a strong and perfect character like Jesus Christ. “He who is not with Me is against Me and he who does not gather with Me scatters”. It is logic when a man does not know God he doesn’t know what to gather what to scatter sooner or later leads himself to an impasse. Since our words are different of our deeds then we are against God. Blasphemy to the Spirit for us is when we do not believe in the sins the gifts and the fruits of the Holy Spirit and when we do not believe that we can become such partakers. Briefly, when we do not believe that we can live with God’s presence for ever. Another blasphemy is when we do not believe in the Father the Son and the Holy Spirit. It is antirational and foolish to see the cosmological existence of the universe and to ignore the creator, especially in the presence of a man as logic being in the creation. Naturally vipers carry deadly poison, likewise the words of man becomes poison to our brothers when the evil governs his mind. We mainly express our abundance of feelings emotions and thoughts that already exist in our heart. The treasure is the information we have in our brain. All these information controls our life; it is wise to cast out the dirty and unclean information and all those spiritual elements that produce corruption. Man shall not live by bread alone but by every word that proceeds from the mouth of God. In verbiage sin is not lacking. We need to have consciousness mercy to be justified and not convicted. One day the tongue said to the brain –good morning- and the brain answered – by you it will depend-. So we need to set on guard lips, to avoid fatigue in our being, in our bodies, in our minds and of course not drive ourselves in to a dead end, with intractable headaches and incurable disease. This comparison was made by Jesus to distinguish the difference between the vanity and the eternal life. The wisdom of Solomon a significant appearance of God on earth, but the appearance of the Son of God on earth it was the ultimate event of the centuries. It was the beginning of the end to the sinful life and the beginning of the end of death. It is well known the half repentance the semi study of the scriptures the incomplete performance the lack of practice of God’s will increases the danger of returning back to the sinful way of living. The return of wicked spirits is the life with sickness and diseases. Carnal family is united and lasts until death, the spiritual family remains forever, so our family is all those who listen to the word of God and practice it. Christ was the ideal man so His personality and His feelings could not be affected by the household staff. We have to understand that the relationships we have should be governed by consideration of noble emulation and unfeigned love, however, in front of God’s will everything gets second place, clarifying our position with all the people here as Christ. If members of the family or friends do not want to follow the destiny that God gave to us, let us ignore weakness and fillings that decline us from our target (ask first the kingdom of heaven and the rest will be added to you). It is better to disappoint man than God. Jesus Christ ends the parable with these words. For 20 centuries, the sower’s parable is repeated and repeated the seeds are falling and falling all over. Finally who are the sower and the good land which yields a crop thirty sixty and hundredfold? 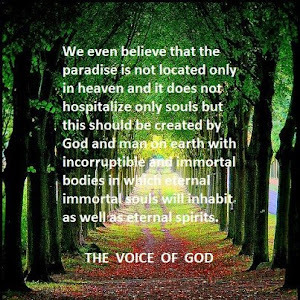 Is it inside us or far from us or somewhere in heaven? Mystery is anything we don’t understand like God, like the creation, like love, like sleep, like the incorruptible eternal life, like the Father the Son the Holy Spirit, like the gifts, fruits sins like the logic that man has from God. When we comprehend all these we belong to those it has been given, if not we belong to those it has not given. If we are not familiar with the presence on the above mentioned and their evolution, then we cannot be born again spiritually and be completed. Essentially when man has god in his life will be given all things of the world and of God. Man who chooses the wrong way of sin to live will lose everything and his life. The way we lose everything is through the corruption and death. For the heart of this people has become dull, with their ears they scarcely hear, and they have closed their eyes, otherwise they would see with their eyes, hear with their ears, and understand with their heart and return, and I would heal them. When a man is away from God the evil finds ways and destroys the senses, destroys the logic of God, destroys the spiritual evolution, so that he cannot capture the will of God. Basically the evil destroys man through the weakness passions through sin. The destruction comes because the materialistic factor and the multifarious sin. Admittedly man today has deified matter and money. The sin and sedition consciously brought the people far from God, as corollary to face painful situations. God is waiting to cure and heal our souls and our bodies. And upon finding one pearl of great value, he went and sold all that he had bought it. The pearl of great price is Jesus Christ his holy teaching and the envoy. If we comprehend this, the spirituality in our life becomes priority, all the rest become second interest matters. Away of the living Christ there is a furnace of fire, which will always exists in our lives and that is the sin, it derived from the fall, transient system of the world, built on money. If we don’t know Christ and his teaching, the furnace will rise on a daily base. Well as long as we have time let’s collect the treasure of Christ in order to deter us from the furnace which only lights inside us. New and old things there are in the New and Old Testament, new and old there are in the world’s history and in the science. Study everything to know all about our spiritual evolution this will lead us to the throne of God. Study the universe study the incorruptible life the reason because God is everywhere. Never be fanatic never be dogmatized be open minded to easily achieve the change to the new life. Herod was feeling guilty about the beheading of John the Baptist. The fear and guilt gave him the idea of reincarnation, there is no reincarnation, Jesus said: I am the resurrection and the life. Celebrations feasts and parties are not always pleasant, the results sometimes are unpredictable. So here Herod, in the hour of excitement, made a big mistake, the promise brought him to the point of becoming killer. Jesus knew that they had not enough food, but the performance of the miracle was the reason. In that time Jesus fed, about five thousands of men and more, with bread and fish, but for two thousand years feeds the humanity with His words. With his word creates the people of God with his word establishes the kingdom of heaven on earth. After he had sent the crowds away, He went up on the mountain by Himself to pray; and when it was evening he was there alone. The mountain has unimaginable power, the biggest is the silence, in the silence operates God, the people in the silence captures the voice of God. In silence God admonishes evolves and reborn the man. The mountain for us it doesn’t have to be (a natural mountain) the mountain of silence is the quite place of prayer. The deeds of love the deeds of sacrifice the action and the forces of faith make a human Son of God. We have to put effort and persistence on the Scriptures not only read but practices to become sons of God. We have to have deeds with our faith show me your faith by your works and I show you my faith by my works. Our good deeds will shape our character and will keep us to think and behave in the manner of Christ. It is not honor to the father or the mother when we visit them once in a while or at long intervals. We honor our parents by taking care of them with love and supporting them to every need especially with our presence so to make them feel secure and happy. They worship me in vain; their teachings are about rules taught by men. The theory and the formalism are commandments of men and are far from the word of God. We must be careful because the commandments of men, is proven to have led people into disaster and perish. The commandments of God which are directed to us, to God, to our fellow man are those that will benefit our lives and the whole creation. We should elucidate the will of God from the commandment of men, when all these will be comprehended then with relevant effort will establish the life style that Jesus gave his life ransom for many. Food does not defile the body, but the filthy talk defiles the man. The pharisaical and formalism is not planted by God, its manmade religion full of filthy talks criticizing and condemn each other. He replied, “Every plant that my heavenly Father has not planted will be pulled up by roots. The plantation not planted by God is the devil his angels and the sin. This plantation and all those whose theory and preaching contradicts to the will of God will be uprooted. 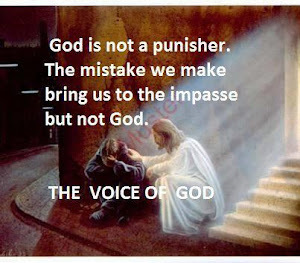 God’s voice began to eradicate the plantation (evil) from people’s heart members of God’s spiritual family. The devil will be thrown into the abyss when people will reborn in God, then he could not find any man to get into and do his deeds, so he will live forever lonely in the abyss. Leave them; they are blind guides. If a blind man leads a blind man, both will fall into a pit. Blind is he who considers himself omniscient. This selfishness to man comes from various titles he might hold. Blind is also the fanatic one, someone who gets angry, someone who criticizes and judges, someone who remains uneducated of God’s wisdom. Blind are all the leaders who exploit their own people in the name of democracy, in the name of freedom, in the name of prosperity, in the name of Jesus in the name of God. We’ll need to be careful and keep a distance from such blind men who want to lead us to the ditch. Dull is the man who does not understand the call of God. The dull man relies on ritualism, melioration and evolution to the soul and spirit has no effect on him, he prefers to participate in futile meaningless activities. There are people who have been despised, but God came to reborn and ascent them to his level. Patience and persistence strengthens the power of faith, God values the virtues of persistence beliefs and love. The Pharisees and Sadducees came to Jesus and tested him by asking him to show them sign from heaven. Signs requested by unbelievers are like those who keep the theory; “though you convince me you will not convince me.” Christ’s disciples neither seek for sign because they have the presence of God within them. The external signs for the disciples of Christ, are like fireworks for sometime seems gladden briefly and then lost. For Christ’s disciples today, the signs are the fruits the gifts and the presence of the Holy Spirit. These are the signs that the new disciples want to work within them, and therefore not to rely on the fireworks. The external sign that we have to admire is the entire creation. This creation is enough we do not need other signs, the rest of the signs are within us, let’s find out. Also a big sing is the man itself, the only living rational being that evolves along with the creation. If these two (creation and man) is not enough then nothing will help the man who does not believe and asks for signs. Let us remember the scribes and the Pharisees although they saw so many miracles did not stop infidelity. “And in the morning, there will be a storm today, for the sky is red and threatening. Hypocrites! Do you know to discern the appearance of the sky but you cannot discern the signs of the times? The hypocrite has traits and properties that reveal his hypocrisy. First is the fanaticism, second is the personal interests, third is secular ambitious (titles), fourth he imposes laws that himself does not practise, fifth he has substantial ignorance of what he preaches, sixth he does not have deeds of sacrifices, seventh he likes to differ from others to show that he is above them, eighth he does not work to upgrade his fellow men, nine he does not reveal the will of God in total because has no profit, rather he prefers to reveal a part, enough to be covered but not exposed, tenth he does not have experience on things he proclaims but dry knowledge. Knowledge puffs up, but love edifies. Eleventh his hypocrisy is huge in front of God and men in various forms. Twelve his preaching is not hundred per cent on the will of God, but mixed with material and political components used with the power he got by the ignorance of the people, this ignorance (of the people) enriches him with many assets. In Matthew chapter 23 Jesus explains about hypocrisy. It is wise for us to avoid the hypocrites. The leaven (yeast) of the Pharisees is the commandments of men dry ritualism abstaining from the truth. The yeast of Pharisees creates confusion that results mental sickness such as anger distress cunning selfishness and all these are directing us to death. I wish to meet people of God being free from all those formalities, living freely, glorifying and worshiping God in spirit and truth. Now when Jesus came into the district of Caesarea Philippi, He was asking His disciples, “Who do people say that the Son of Man is? The imperfect knowledge and the mental instability lead people to absurd conclusions, which changes according to the time period. I want to know all of us that any mission that has fulfilled it will not be repeated. All the new missions are biblical and above given, in order to develop the new disciples, the old was for that period of time. God with the new missions will awaken us, will involve us, and will use us to finish his project which is the foundation of the kingdom in us and around us. Simon Peter answered, “You are the Christ, the Son of living God.” 17 And Jesus said to him, “Blessed are you, Simon Bar-Jonah, because flesh and blood did not reveal this to you, but My Father who is in heaven. You are the Son of the living God, this statement it was not a frivolous answer by Peter neither an irrational expression, it is the truth not only on earth but to the entire creation. It is the revealed secret of the ages. It is the answer to all philosophers to the question (who is the man created by God?). It is the answer to doctors and scientist who are striving for longevity. It is the bridge which connects God and man. It is the presence of God on earth. Peter in this verse represents faith (the rock), the living faith of the living God, also every man alive who believes in Christ who receives and accepts the invitation through the baptism to become this rock and to erect this church in him. This is the church that Jesus gave His life ransom for many. Jesus is revealing the church He will be pleased to establish. It is the church of the living God. It is the church of God’s people who believe that the kingdom of heaven is within us. It is the church where the members will be equal without officers and leaders. In this church all will be brothers and sisters of Christ. In this church all will be disciples of Christ volunteer workers for the kingdom of God on earth. This church will have no assets or real estate properties or money. In this church there is no need of preaching. This church will have no councils and committees high rank officers or low rank sheep. In this church will dominate the fruits the gifts and the signs of the Holy Spirit also longevity immunity incorruptibility. In this church the gates of Hates shall not prevail against it. This is the church of Christ abolishing the last enemy (death). When someone is really something he does not like to be advertized by the people who are around. On the contrary when someone is almost nothing he creates conditions for the others to believe that he is something special. But he and said to Peter, “Get behind Me Satan! You are a stumbling block to Me for you are not setting your mind on God’s interest, but man’s. The mind of God with the mind of man has no association, it takes time to understand the will of God, and we must study and practice the wisdom of God. Then we will respect the freedom and the destiny of the others. We must not intrude to others mission, uninvited. Come after Me it means and it needs sacrifice. Denial it means giving up everything that pleases our sinful life. The cross we have to pick up is our passions and weakness in other words our bad (evil) self. Follow Jesus it means we have understood that our destiny our target is to become children of living God. For thousands of years man lose life, it is time now to find it, if we sacrifice the sinful one we will gain the sinless one. Truly I say to you, who are those who shall not taste death? Who are those who are standing among us who shall not taste corruption? Who can be all those who believe in life? Where are all those brothers living in the stage of incorruptibility? Are those who defeated death? Are those who devoted this life to gain the other? Are those who belong to the church of Philadelphia? I believe is every one of us who accepts the call, who receives the invitation, who with sincere repentance practices the word of God and makes top priority the will of God. There was transfigured before them. His face shone like the sun and His cloths became as white as the light. Transfiguration is essential to meet the father. Transfiguration comes after a sincere repentance. The glory of man differs of the glory of God. Transfiguration is the transformation (transmutation) of our biological body, which is the rebirth a result of sanctification (purification), is the spiritual transcendence, and is the evolution of one or many men. A significant factor is the healthy doctrine; this preaching is missing today from our societies. It is obvious the man made religions the men’s commandments are unable to supply us with the healthy teaching and the results are trivial. The presence of Moses and Elijah it means that God is not God of dead but of the living. Psalm 88:5 Forsaken among the dead, like the slain who lie in the grave. Whom you remember no more and who are cut off from Your hand. But God will remember the dead and will bring back to life through the resurrection, first comes the judgment. Moses represents immortality Elijah represents incorruptibility both are with the living God and stay forever. The cloud prevents us to see the face of God. The cloud leaves by the struggle of sanctification and purification. The clouds today are the systems of the world which prevent the sun (Christ) to warm our hearts. In this case the cloud used to cover the Father and for the disciples to hear only the voice. It is a great mystery God the Father. Isaiah the prophet says; Wash and make yourselves clean take your evil deeds out of My sight stop doing wrong come now let us reason together says the Lord. Let’s start the struggle of purification and sanctification and to be confident when we take God seriously He will take us seriously too. For those days rejection persecution and the death penalty it was the reward for the prophets and for the forerunners. Today only the two are valid persecution and rejection. With the wisdom of God we will discern the man of God the forerunner and the sent one. All things are possible to whom who believes, if we cannot believe, let’s ask God to increase our faith, because faith is the greatest power that God gave to man. “Yes, he does,” he replied. When Peter came into the house Jesus was the first to speak. “What do you think Simon?” he asked. “From whom do the kings of the earth collect duty and taxes from their own sons or from strangers?” 26 “From strangers,” peter answered. “Then sons are exempt,” Jesus said to him. Who are the strangers? Who are the sons of God? This is an issue among the nations among the religions and till today they try to enumerate the flocks not as sons of God but as followers of a party a dogma an association an organization, all are strangers, paying taxes to the authorities until death. When the sons and daughters of God will appear on the earth tax collectors will be in trouble. At the same time came the disciples unto Jesus saying. Who is the greatest in the kingdom of heaven? There is no meaning of who is the greatest in the kingdom of heaven because if there were a difference then it should be identical to the system of the world on earth which has higher and lower man. The only difference in the kingdom of God will be that star by the star will differ in shine, depending on the mission. In the kingdom will dominate the life the unfeigned love and the humbleness, also Lord revealed the one who will serve the fellow men with sincerity will be the greater. For we do not wrestle against flesh and blood but against powers against the rulers of the darkness of this age. The words are useless; the deeds of love and the living faith will lead us to heaven. Woe unto the world because of offenses! For it must needs be that offenses come; but woe to that man by whom the offense comes! The personal ambitions and the individual interests create the offense. These two demons create big and unpleasant consequences to the people’s societies. Let’s remember the first and the Second World War. Few men to satisfy their ambitions and interests in a dictatorial manner killed and destroyed millions of people, neglecting the disaster and ignoring the living conditions even for their own societies. When the leaders of the people are governed by these two demons they are capable for the worst catastrophe. The offence have influenced almost all men even the religious leaders who for the predomination of their own dogma killed thousands of men, of course in the name of God! We as voice of god work to bring into our lives Christ with his principles. Furthermore any deed succeeded with lies, interests and ambitions is not from Christ but from evil. God does not urge no one but through the events good or bad edifies the human race and leads each one to rebirth. Imposing our theories with fanaticism for sure this creates offence. Take heed that you despise not one of these little ones; for I say unto you, that in heaven their angels do always behold the face of my Father who is in heaven. The small ones are those who feel small in front of the omniscience and omnipotence of God, what we need is not to despise anyone because God will turn away from us. We have to help all these little ones because they work for the salvation of the people. If there were not all these small ones to adorn our world then the world could be like a jungle. I wish the time to come when humbles will take over the power and with the deeds of love will create the new world of the living God. For the Son of man is come to save that which is lost. The lost sheep today is the entire humanity, which has departed from the living God and currently is feeding on carob bean. We need to enroll our life into God’s will, the lost sheep do not have God and spiritual guidance neither a real and sincere aid, I rather say they are lost because they look for the spiritual family of God. We must help the lost sheep because we too have been lost in the past but now the mercy of God is helping us to become His people. Yes God’s love will not perish anyone of the little ones, each man is valuable and equal to the creation, but we don’t know it. Every single man has the specifications to become according to His image and to His likeness. Moreover if your brother shall trespass against you go and tell him his fault between you and him alone; if he shall hear you, you have gained your brother. It is a natural phenomenon; the man cannot easily understand the will of God and falls into violation. Checking a brother should always be done by the spirit of God with humbleness and a true love. When we are checking a brother or a fellowman and we are feeling joy or satisfaction then this checking is not from God but from the evil and the results will be negative. Verily I say unto you, whatsoever you shall bind on earth shall be what has been bound in heaven; and whatsoever you shall loose on earth shall be what has been loosen in heaven. This verse has a reverse sense, if we do not forgive someone then the sin is tied in us and bind us. When we forgive, we solve the sins then are solved forever by us and to our fellowman. Again I say to you. That if two of you shall agree on earth concerning anything that they shall ask, it shall be done for them of my Father who is in heaven. At the voice of god we do agree more than two and the request is, humbleness to come as well the wisdom and love of God, also the release of the secular matters, elimination of sin, elimination of corruption and the death, the establishment of the kingdom and held the resurrection of the dead. Then came Peter to him and said Lord how often shall my brother sin against me and I forgive him? Till seven times? 22 Jesus said unto him, I say not unto you, until seven times but until seventy times seven. Whatever the sin is we must cross over (over pass it) the only thing to keep is the experience, and to remember the way we get at, in order not to fall back to the same error. The mercy of God must persecute us all the days of our life. Without mercy in our life means Jesus is dead in us, admittedly for this reason was sacrificed. When we do not forgive everything in us and around us it remains as a situation called unquenchable fire. The Pharisees also came unto him testing him and saying unto him. Is it lawful for a man to put away his wife for every cause? What separates the couples is the devil, which in the time of love and relationship, before or after the marriage, is hiding. In the beginning they all present the good character but the evil is functioning inside the man or the woman, as corollary to, after the official engagement, the evil part starts to appear. It is natural the two evils to conflict. Sadly the children from this relationship are wounded for the rest of their life. Since Christ reigns to the couples, to the marriage, to the family the good relation stays forever. For the children who lived in such situation we have to help them with love and the wisdom of God, to get rid of the bitterness they have accumulate from their parents. And I say unto you, whosoever shall put away his wife except it be fornication and shall marry other commits adultery; and whoever marries her who is put away does commit adultery. For sure this sin is big and difficult to be forgiven but with unfeigned love of Christ it is achievable. The love of Christ provides conscious forgiveness but the love of the world provides the passive forgiveness with many negative effects. The distress of this sin, when Christ is absent from one or the other companion, the sin becomes destructive and leads to premature death. Today, the lack of sanctification and purification creates many conflicts; the whole world is a dynamic confusion of bifurcation. With all these passions that possess the human and the lack of logic, it is normal for the people to divorce. For every mistake we do, the mercy of God is always ready for us, to carry on life in a new base with the wisdom of God. For there are some eunuchs, who were so born from their mother’s womb; and there are some eunuchs, who where made eunuchs of man; and there are eunuchs, who have made themselves eunuchs for the kingdom of heaven’s sake. He that is able to receive it let him receive it. The first are those who born with organic or hormonal problem. The second are all those who lived in the harem or at wars incurred mutilation. The third are those who without any problem decline this lust for the kingdom of heaven, like monks hermits or many disciples. But if they cannot exercise self-control let them marry. For it is better to marry than to burn with passion. The couples must know that they should agree together and act with temperance, because at the marriage the man’s body belongs to his wife and the woman’s body belongs to her husband. But Jesus said, Allow little children and forbid them not, to come unto me; for of such is the kingdom of heaven. The children are governed by simplicity governed by goodness of God we can easily communicate and conciliate with them and it is easy for them to conceive the healthy teaching. Assuredly I say to you unless you are not converted and become as little children you will by no means enter the kingdom of heaven. The old men have egoism and they cannot be easily acquainted by God or His sent because they feel they know everything, they don’t revising anyone and nothing, of course there are exemptions. And he said unto him: Why do you call me good? There is none good but one that is God: but if you will enter into life keep the commandments. The commandments of God and the manner we apply them will enter us into life. First we have to study carefully and then to apply. We will not gain life with a lot of money or assets or good food, but when we have in rich love joy peace, life does not consist of the existing. Honor your father and your mother and you shall love your neighbor as yourself. Honor to our parents is 1) Interest for their life conditions. 2) Interest for their health. 3) Frequent visits if they live alone. 4) Have conversation about their problems. 5) Substantial love. 6) Use the grace of God if any mistake comes. 7) They already have the problem of elder they don’t need ours. 8) Interest towards how they like to practice their religion. 9) Respect to their choice of living. The young man said to him. All these things I have kept from my youth what do I still lack? Jesus said unto him; if you will be perfect go sell what you have and give to the poor and you will have treasure in heaven and come follow me. The young man answered frivolously, because these things he never kept them. When Jesus said follow me he didn’t follow him, when he said that he loves his fellowman he did not give anything to the poor. This is a great command full of wisdom to love and take care of your fellowman as yourself. If the young man had real love to his fellowman for sure he should be taking care about its financial and spiritual progress. There are many man saying we love God we do not commit sin we love our parents our fellowman but with an evil way with hypocritical love and feign participation to their problems. It takes time first to conceive the will of God and then to practice it with deeds of love. The worry of business, the fat material style of life of the riches, hampers the spiritual unity with God but for what man is impossible for God is possible. There is another kind of rich, those who are rich in material interests and personal ambitions which becomes boomerang to their spiritual progress. There are many others who are rich in malice, ego, wickedness and passions. Here in this verse, it doesn’t mean only the rich in money but rich in the evil. There are also exemptions for those who use the material factor for the glory of God with maturity to the will of God. And every one who has left house or brothers or sisters or father or mother or children or fields for my sake will receive a hundred times as much and will inherit eternal life. This verse becomes an obstacle for those who have partiality and weakness to the secular environment. Through this verse the dedication to God proves the sincere intention and the complete love to Him. For sure after such abandonment our relation with God changes from a typical one to substantial, because our deeds reveal the decision and our love to God. The hundredfold blesses and the eternal life are the price for our devotions. But many who are first will be last and many who are last will be first. This verse has two meanings. The negative one is that the first called men are unable to accept in their conscience the last called men, because of their ego, the excessive selfishness which from the first place returned and put them to the last place. The positive meaning is that the first called men by serving the last become last automatically but they are first because of their humbleness. God through the centuries develops the generations, the first know a lot the last mach more but we are not here to become leaders, Sheppard or prophet or to seek glory from people, we are here to become humble brothers and sisters of Christ partners and co-heirs of the kingdom of heavens. For the kingdom of heaven is like a landowner who went out early in the morning to hire men to work in his vineyard. 2 He agreed to pay them a denarius for the day and sent them into his vineyard. 3 About the third hour he went out and saw others standing in the market place doing nothing. 4 he told them, you also go and work in my vineyard, and I will pay you whatever is right. So they went. 5 He went out again about the sixth hour and the ninth hour and did the same thing. 6 about the eleventh hour he went out and found still others standing around. He asked them; why have you been standing here all day long doing nothing? 7 Because no one has hired us, they answered. He said to them you also go and work in my vineyard. 8 When evening came the owner of the vineyard said to his foreman; call the workers and pay them their wages beginning with the last ones hired and going on to the first. 9 The workers who were hired about the eleventh hour came and each received a denarius. 10 so when those came who were hired first they expected to receive more. But each one of them also received a denarius. 11 When they received it they become to grumble against the landowner. 12 these men who were hired last worked only one hour; they said and you have made them equal to us who have borne the burden of the work and the heat of the day. 13 But he answered one of them, friend I am not being unfair to you. Didn’t you agree to work for a denarius? 14 Take your pay and go. 15 Don’t have the right to do what I want with my money? Or are you envious because I am generous? 16 So the last will be first, and the first will be last. Here we see the wisdom of God and the manner he considers the works of men. But the salvation will be by God who does not see at the face neither judges according to the appearance but the righteous judgment. God saves the man from any religion or doctrine by the intention and vindicates the righteous from his heart and his intentions. Let us do the work that God has given us, there is no need to be preoccupied with others. God has vindicated the whore; God vindicated the robber and many others who were condemned by people. We are going up to Jerusalem and the Son of Man will be betrayed to chief priests and the teachers of the law. They will condemn him to death 19 and will turn him over the gentiles to be mocked and flogged and crucified. On the third day he will be raised to life! The prophetic gift involves the fascinating wisdom of God; with it we can interpret the negative situations of the future which hides eternal glory. God does not give the prophetic gift easily especially God hides it from non reborn Christians because at their spiritual level they are unable to accept the destiny and the future events. Spiritual maturity humbleness and wisdom of God is need as well as waiting and enduring for the salvation throughout positive and negative that will evolve us to the will of God. Once I had caught in various dogmatic theories and men’s commandments. The Lord told me, so as you go the devil will humiliate you, what you want, me to humiliate you or the evil? I said you, Lord immediately told me; take the gospel read it from the beginning forgetting that you believed as true until yesterday, remove all the commandments of men you had adopted. So I start a new spiritual life based on his own admonitions without opposing the existing spiritual variety, because we know that all things work together for good to those who love god to those who are the called according to His purpose. Unfortunately, many were unable to free themselves from the commandments of men and the fanatical dogmatic theories, as corollary to fall into the relentless trap of criticism because when you dogmatize something although is good it becomes a snare to judge others. We must not want others to be as we want to be, but as God wants them, accept them as they are, this is love and this is God. Many want the elsewhere and many are looking for the pill that will solve all problems, let us know that there is no such pill. We should work and be tested to get to heaven and there is a specialization in the way that God evolves us. Many men get despair, desperation is the largest system of egotism and has the authority to cast us out of God’s plan. The Lord promises that will not be tempered with more than we can withstand, as anyone who allies with God never is defeated. The indignation comes from selfishness or by excessive zeal, especially when we do not achieve our goals, or even from various negative events that happen in our life because we do not mean the reason. In this case, the indignation was natural but mother’s intention was from excessive love. If they were aware of the things and the wisdom of God, the only thing that would come out at that time from a born again man, it could be a light simple smile. Not so with you. Instead whoever wants to become great among you must be your servant. 27 And whoever wants to be first must be your slave. First place in the kingdom of heaven possess the servants, they arrange everything in God’s house and only to these ones God has confidence. The servant does not give orders or advices, he accepts the commandments and every day becomes better and does the best to serve the brothers. I would like all of us to become servants and that we do, to do it with love joy interest and God’s wisdom. The servant is not intended to become guest, because the guest will eat and leave. The servant is always in the house and he arranges to the house, what food will be served every day spiritual or material. We as spiritual servants either we do preaching or confessing or forgiving to do it with interest to satiate the family of God. If we want to become first let us become last servants who according to all will obey to God. I believe blessed is the Lord for those men they could not know that it is God himself. But the prophecy mentioned in the name of the Lord, so it is not for Him. The Lord was present at that time, so the blessed belongs to the future time. Jesus said; See your house is left to you desolate, for I say to you, you shall see me no more till you say, blessed is he who comes in the name of the Lord! The blessed will come under the command of God, to manifest the wisdom of God, so that the mankind can comprehend the mission of the Lord and the way that God plans the salvation of the world. I wish all of us to recognize and follow the blessed one when he comes and then get to know the Lord, the God. The multitudes did not recognize the Lord, for them Jesus was a prophet from Nazareth. Definitely this fact took place and came from the sacred indignation that existed at that time within Jesus. As we know God did not create the temples for some to handle their trades but for the people to communicate with living God through the ministers. The spiritual interpretation is that the temple of God is the brain of every man where God conciliates with the man. When Christ is in us, various animals (passions) appear within us, which are thrown out wrongly. And He left them and went out of the city to Bethany and spent the night there. Lord elsewhere emphasized that; Foxes have holes and birds of the air have nests, but the Son of Man has nowhere to lay his head. A real God and had no home, zero assets, this gave him the power to have no time to devote for the living care, but to care only about his Father’s will. Jesus wanted to do only the Father’s will as soon as possible. Unlike with us who struggle to acquire material essential goods, believing that will insure our life and then the spiritual matters. The results of our choice are to grow the care on matter, by natural consequence; we do not have time to deal with the things of God. The personality of Christ, because He was an ideal man, did not provide the thoughts that could lead him out of his mission. I wish to all of us to put in order our time and to use it for the salvation of our soul and our body. In this verse Jesus is telling us about faith that he has, everything is possible to the believer. To acquire this faith we must struggle for the purification and preaching the gospel of kingdom, with this faith Christ will appear in our life. Correcting the way of thinking and acting we also abolish the wrong belief we had about God, the wrong concept we had about life and about our rebirth. We have to ask and nock at the house of the Lord until the door of life opens. God is love and does not tease any, alone each leads to the lost due to the works being done. The hypocrite is most at risk from all others working at the events of the gospel. Also in dangerous place is the one who possessed of knowledge which wrongly uses in order to manage and take advantage of man or through the wealth of God take advantage of the vineyard (people). I believe that the biggest sin is to exploit our fellowmen because of their lower mentality or take advantage of the lack of knowledge or keep them in ignorance, by manmade creeds. Therefore I say to you the kingdom of God will be taken away from you and given to a people producing the fruit of it. At the book of revelation Lord says if a church does not correct, does not change, does not repent of the wrong way of believing and preaching the will of God, the Lord will remove its lamp stand. The question is to which nation or to which religion the kingdom of heaven will be given? I believe that God will give His kingdom to the nation where all men will consciously practice the will of God, and love each other will be like a written constitution in their hearts. The excuse always hides lies. It is obvious men did not understand the call of Christ and they never gave priority to the will of God. The materialistic goals and the social concern are driving us out of the spiritual destination. The interest of life with the presence of God becomes bless and the values of life are giving us a complete different concept of life. Actually God’s invitation varies to each one of us in time and in the way we receive it, this is one of the reasons we do not understand it and rationally we neglect it. I wish to all of our brothers and sisters to understand God’s invitation and to enroll our lives to the will of God by using the simple expression, I am a disciple of Christ and a founder of the kingdom on earth. Indeed, for two thousand years the table is ready, the dinner of love is waiting for us but Jesus stays alone, very few exemptions. I wish all Christians to appreciate the invitation for the dinner of love; it is time for us to become worthy guests. God has no partiality. God wants all men to be saved and to have the knowledge of truth. Every one receives the call from Christ, but if he understands that God sent servants to find him, let start feeling happy because the dinner is at hands. The participation to God’s table it means deification of man from the image of earthy to His image and His likeness. The first guests are the Jews the second guests are the gentiles (us). The gentiles we had ignorance of the living God, but now we became guests, thank God because now we are participants of the dinner. And he said to him, “Friend how did you come in here without wedding clothes?” And the man was speechless. The wedding garment is provided and guaranteed in our lives through the purification and sanctification, everyone will (saw it) at his privet sanctuary. If we don’t have the wedding dress we will be cast out, because of our evil self, this evil will react against the will of God. The wedding garment is securing us the participation at Lord’s dinner with peaceful coexistence and fascinated wisdom of God. This participation at God’s table will insure the perfect relation with God and the completion we need to succeed the incorruptibility of our soul and our body. The called are all those who are followers of Christ in different dogmas and glorify God with words but not with deeds. It is easy to understand who are the called. The chosen are those who have spirituality, they pray and study, respect the laws of God and of the state, they don’t judge nor criticise the others. For the chosen, the wonderful is, that they observe and correct themselves in daily base, the will of God has priority, curry on the mission that God revealed. The chosen are those who fulfill the promises and practice God’s will. It is fascinated wisdom of God when a man is able to respect the aspect the religious conscience the freedom and the destiny of the others. It is the will of God to respect the laws of the state or the nation where we live. To understand the Scriptures does not need literature but wisdom of God and pure heart. The hypothetical question it sound silly for Jesus, the sophistry of the fallacious method of reasoning the question it didn’t work out, for Sadducees resurrection it is an absurdity because of their unbelief. Sadly, there are even today men rejecting the kingdom the eternal life and the resurrection, for them God will remain a mystery. The first resurrection, the resurrection of the spirit (for the spirits believe in death) takes place today for the children of God. For the establishers of the kingdom, marriage is not a priority it is not even a necessity. The angels have other vocation and complete different mission, nothing that brings vanity or bandage, through the rebirth we will have the opportunity to associate with them. Our heart must be identical to the compassionate heart of Christ and its choice. If it needed to give my life for the glory of God and the salvation of the world. With all your soul: soul manifests itself and reveals the nature of man. When our soul (our word and deed) is given to the will of God, then confidence, love, humbleness, wisdom and the glowing face reveals that our soul is with God. With your entire mind: when there is God in our mind our word our deeds evolve positively our life. Our mind is the place where God and man conciliate. When in our mind (brain) there is strong presence of God then secularism and sin disappears. In the mind of Christ only the Father God was present. If our mind is connected with the will of God then the fruits the gifts the sins will reveal the glory of God. You shall love your neighbor as yourself: The man who will help his brother not die, himself will not die. Our interest to our brother must be with good words and honest deeds towards the rebirth of his. Love is finding ways and a device system for the salvation of our fellowman. Bear in mind that in the old testament fellowman is the one who asks for help. In the New Testament fellowman is the one who prevents bad situations and declines negative directions for the fellowman, in order to avoid the dead end. Our priority is, born again (in spirit), this is a vital help to our surrounding. The enemies of Christ are ignorance, sciolism, sin, corruption and death. When all these will stop functioning among the Christians then Jesus will appear for His second coming, till then He will stay at the right of his Father. This deed will be fulfilled by the comforter, by the holy Spirit. Since this promise is completed by the chosen then the comforter will deliver the immortal kingdom with its members (Christians) to the Son and Word of the living God, after Jesus Christ will deliver the kingdom to the Father for the fulfilment of the prophecy. Now when all things are made subject to Him, then the Son Himself will also be subject to Him who put all things under Him that God may be all in all. I will dwell in them and walk among them, I will be their God and they shall be My people. None of them shall teach his neighbor and none his brother saying know the Lord for all shall know me, from the last of them to the greatest of them. The voice of god has from the above the direction and the exhortation to adopt the will of God in order to review and fulfil all the written. It is in our hands to make it happen in our days it will need little dedication, living faith, unfeigned love, humbleness in real and the written will be fulfilled, Jesus is waiting for our sincere repentance. The difference between Jesus and us is that Jesus materialized His words into deeds, we simply philosophize on the events of the Scriptures and by adding sophistries we get divided. Now is the time for action the delay is our responsibility. Moses implements everything that he was told by God, the reason because God was talking to him. The scribes and the Pharisees keep the sit and the authority that God did not give to them. In the same manner as today happening with men’s commandments binding us with heavy burdens which not only are needless but also disorientate us from the truth. We have to observe and according to the gospel be orientated. When we will be acquainted with Christ then we can discern the spirits and distinguish the Holy Spirit. Well let us be aware of the heavy burdens (the dry formalism, men’s made creeds, and the supercilious verdict God will punish you!) Scribes and Pharisees have been spread all over the earth we can see them in every dogma in every religion in every society in every nation and they have nothing common with the living God, because their God lives in heaven. From this verse we derive the conclusion that God will establish a church without Rabbi without teachers but only brothers and equal members will form the people of God. The church of Philadelphia will conceive the right way of the improvement. The church of Philadelphia is a prophetic church and will reveal itself in the end. Its main participants will be born again Christians from all dogmas. The main issue for the members will be to respect the aspect the religious conscience the freedom and the destiny of the others. The way that the good can be improved into every man can be different. But in the kingdom each one will be reborn in the personality of Christ. Basically, for the people of God, the elements and the traits will be the fruits the gifts the sins of the Holy Spirit. “But the greatest among you shall be the servant. 12 whoever exalts himself shall be humbled; and whoever humbles himself shall be exalted. It is a great position in the family of God to be a servant. The servant performs the commandments of God with no contradiction, is serving God and his brothers. Whoever exalts himself will be humbled. Through the wisdom of God many men receive spiritual and material goods for their own benefit. All these will be humbled the reason because of their selfishness, it is dangerous the egoistic philosophy that ignores brotherhood. Self interest is the misguided interest; while the general interest is the well-being interest, it is the will of God. Christ arrived at the last spiritual step because He wanted us to reach the throne of God. “But woe to you scribes and Pharisees, hypocrites, because you shut off the kingdom of heaven from people; for you do not enter in yourselves, nor do you allow those who are entering to go in. 14 Woe to you, scribes and Pharisees hypocrites because you devour widows’ houses and for a pretense you make long prayers; therefore you will receive greater condemnation. 15 woe to you scribes and Pharisees hypocrites because you travel around on sea and on land to make one proselyte; and when he becomes one, you make him twice as much a son of hell as your selves. 16 Woe to you, blind guides, who say ‘Whoever swears by the temple, that is nothing; but whoever swears by the gold of the temple is obligated.’ 17 You fool and blind men! Which is more important, the gold or the temple that sanctified the gold? 18 And you blind men who is more important the offering or the altar that sanctifies the offering? 20 Therefore whoever swears by heaven, swears both by the throne of God and by Him who sits upon it. 23 Woe to you scribes and Pharisees hypocrites! For you tithe the mint and dill and cumin, and have neglected the weightier provisions of the law: justice and mercy and faithfulness; but these are the things you should have done without neglecting the others. 24 You blind guides who strain out a gnat and swallow a camel! 25 Woe to you, scribes and Pharisees, hypocrites! For you clean the outside of the cup and of the dish, but inside they are full of robbery and self-indulgence. 26 you blind Pharisees first clean the inside of the cup and of the dish, so that the outside of it may become clean also. 27 Woe to you, scribes and Pharisees! For you are like whitewashed tombs which on the outside appear beautiful, but inside they are full of dead men’s bones and all uncleanness. 28 So you, too, outwardly appear righteous to men, but inwardly you are full of hypocrisy and lawlessness. 29 woe to you, scribes and Pharisees, hypocrites! For you build the tombs of the prophets and adorn the monuments of the righteous, 30 and say,’ if we had been living in the days of our fathers, we would not have been partners with them in shedding the blood of the prophets.’ 31 So testify against yourselves that you are sons of those who murdered the prophets. 32 Fill up, then, the measure of the guilt of your fathers. 33 You serpents, you brood of vipers, how will you escape the sentence of hell? Let us read carefully these verses, we will be greatly benefited of these advisory reminders. Otherwise we will fall to the trap crucified Christ with our words and with our deeds. Many men reading these woes think have nothing to do with us, but I recommend these sorrows are for all people on earth, as long as there are men believing the kingdom is in heaven, these verses are in valid for them. The prophets and the disciples are sent by God to reveal and present God’s unfeigned love, but authorities of men have no profit of it. For two thousand years now the authorities, accompanied with the scribes and Pharisees, close their ears. The time came and God through his servants will prepare and reborn His children, the result will be obvious, for all those years the representatives of God were rather feeding themselves than helping people. Once this people understand and pull out all the alleged middlemen from their life then they will cease to crucify those that God sends. Ignorance is the cause and many men become partners on the issue of the scribes and Pharisees. It is inconceivable God’s people to judge to prosecute and kill his fellow man, but it is conceivable because for them God is living in heaven. Absence of the spirit desolation of the house. The house is our body, when the soul (spirit of God) leaves, the body is desolated. In brevity a dead body for today but the burial is in the future. Who can be the blessed one who comes in the name of the Lord? How can we identify him? What will be the sin? Is someone embroidered with gold thread vestments? Is someone living like an ordinary nobody? Maybe a good Samaritan! Many of these events were fulfilled and more whoever continue to be fulfilled until the second coming of the Lord. The false prophet has no God or respect in front of the privet interest; he resets everything to his own benefit. Of course he speaks for God but he turns the words to agree always with his own interest, in order always to have the power, if possible, to take advantage of the perpetual ignorance of others. The false prophet works for his own benefit but God’s prophet works for the glory of God and the salvation of man. The love of many will grow cold due to the lack of cleansing with the natural consequence Christians of the speeches to attack Christians of the deeds. More over today we see that people though they have the same leader, Christ, have been divided into various denominations to which unleashed a cold war and a merciless condemnation. Patience reveals cultured man sage being governed by the spirit of God. Knowing that the testing of your faith produces patience, but let patience have its perfect work, that you may be perfect and complete lacking nothing. By patience will capture the way that God acts conceding and allowing various situations in life to perfect the man. A few years ego the borders of the nations was almost closed, the specific time arrived today for the gospel of kingdom to be preached everywhere. This gospel of the kingdom has the power to unite all nations under the spirit of God. This gospel has four chapters; the first chapter is the undivided, divisions have brought the worst persecutions, on division reign curse and death. The second chapter is the coherence. Holy Father keep through your mane those whom You have given Me that they may be one as We are. Without losing our personality without denying the spiritual way that we mimicked as many others to communicate with God we will be unable to communicate with any man in any denomination with the elements of the gospel which unite and provide consistency. Things are remaining simple, why we do them difficult with various selfishness and bigotry? The third chapter is the integrated gospel. For whoever shall keep the whole law and get stumble in one point he is guilty of all. Almost all denominations have rejected, unfortunately for the people, the elements that Lord reveals, are revealed by faith. Jesus said: Whoever lives and believes in Me shall never die. Christians didn’t conceive didn’t believe and brought kingdom back to heaven, yes but earth is in heaven belongs to heaven it is heaven like any other planet or star, all material world is in heaven and the kingdom of God is for the whole universe. In the third chapter by the living faith by the spiritual science the corruption will be abolished and the physical death as well. In the third chapter the incorruptible life will make the man heir of the created and uncreated world. Moreover all shall be done for the man who has in him the living God. Stop to believe in the paradise somewhere in heaven; cease to believe in the necessity of death, since everyone knows that the wages of sin brings death. If we cast out the sin death will stop working in us. The fourth chapter of the kingdom is the three above mentioned chapters. The voice of God proclaims the Undivided Integrated Gospel of Consistency. “Therefore when you see the ABOMINATION OF DESOLATION which was spoken of through Daniel the prophet, standing in the holy place (let the reader understand). The spiritual abomination of desolation is in our mind which is the temple of God. At the end of times (last days) for many men the presence of God will be replaced by the presence of passion, weakness, interests, personal ambitions and many stereotypes of the existing world. Materialistically, the abomination of the desolation will be the antichrist, who will erect again the temple of Solomon, in difficult times for the humanity, and he will take a place in it, creating a screen in which he will sit and through the media will be seen by the whole world. For three years and a half silence among the brothers will prevail. And the Christians will go to flee. As it is written in tough times a pregnant woman or a mother with a baby living will not be easy, as it is happening in a war period. I wish God to create conditions and the rebirth be completed before the coming of antichrist. The ignorance and the sciolism, unfortunately for many, will become a snare during the events because sorrow, affliction and distress will be unsurpassed for non reborn man. The main reason will be that the financial-economic system will collapse and then for those who have erect and based their life on money, losing everything will become demon possessed. The plan that antichrist has and the conditions he will deceive, even the elects, we will reveal in individual discussions .For the elects must believe to the integrated gospel of the kingdom for not to be deceived. After all, believe in the abolishment of death, in the immortalization and transfiguration. Antichrist will not appear through the cards or I.D. but he will attract the attention and will gain the confidence of the people, even of the elects, because he will provide solutions in material issues as well as to the issue of life. The corpse is Christ, the eagles are the elects who will see the corpse and gather to take the necessary nourishment to be vivify forever. The eagles are God’s people who taste the incorruptible life. The sun is Christ (self-luminous) the moon is the church illuminated by Christ. The stars are the spiritual men; the powers are the entire spiritual world that will be shaken. All these will happen at the time of antichrist. But all these events will have no effect for God’s people (reborn) because God would have abided among them. God will gather His people in the Holy city, because before were spread at the presence of antichrist. It is written: But the saints of the Most High shall receive the kingdom and posses the kingdom forever, even forever and ever. The fig tree is the system of the world. Back then God has cursed the fig tree; by the time God will allow the fig tree to have leaves. Leaves are the undivided integrated gospel of consistency at the same time we have the fruits the gifts and the sins, since the system of the world will accept humbleness love (the real Christ) and the incorruptible life, then we will have the end of the spiritual education of the mankind. Here it means all the sinning generations who’s the end is coming. Let us believe that the voice of God has the command and is able to put an end to this sinful generation, through the rebirth and the wisdom of God. Let’s prepare ourselves and be ready to enter the sinless generation alive, today is the time not tomorrow, tomorrow never comes. For those who heralds the Lord’s Day within exact time they are all wrong. The fallacious way of predicting the second coming it hides fear; this fear is used to keep the flock and the herd inside the fence. It is the best gimmick to get high benefit for their acting. Once a preacher “sent by god” proclaimed the second coming in three years, the entire flock (church ) has believed it, but himself borrowed one million dollars to invest in real estate, his privet summer bungalow. False prophets there are all over. We must think well because the situation whether positive or negative will be eternal. Christians are indifferent to substantive call of Christ. I would like to say my small experience, let’s try to enter to silence to prayer until hear the voice of loving God, one word every month is enough for us to create ineffable joy, and this joy creates the endorphin, this sort of endorphin rush occurs the reproduction of cells. Endorphin the incorruptible nourishment within produces life by the living voice of the living God. I wish to understand and to apply it. “Then the kingdom of heaven will be comparable to ten virgins, who took their lamps and went out to meet the bridegroom. 2 Five of them were foolish and five were prudent. 3 For when the foolish took their lamps they took no oil with them, 4 but the prudent took oil in flasks along with their lamps. 5 now while the bridegroom was delaying, they all got drowsy and began to sleep. 6 But at midnight there was a shout, behold the bridegroom! Come out to meet him. 7 Then all those virgins rose and trimmed their lamps. 8 The foolish said to the prudent give us some of your oil for our lamps are going out. 9 But the prudent answered, no there will be not enough for us and you too; go instead to the dealers and buy some for you. 10 And while they were going away to make the purchase the bridegroom came and those who were ready went in with him to the wedding feast; and the door was shut. 11 later the other virgins also came saying, lord, Lord Open up for us. 12 But he answered; truly I say to you I do not know you. 13 Be on the alert for you do not know the day not the hour. The foolish virgins are the Christians who erect their faith on the theory “believe but not research” also those who have adopted the formalities but not the spirituality. Foolish are all the Christians who do not study who do not practice the will of God. The foolishness is because they don’t want to correct themselves and to born again in spirit. So lack of purification lack of sanctification this weakness will effect negatively and the oil will finish before the day of Christ. The wise virgins are all those who work spiritually to born again saving the oil for the day of Christ, as a result the flame of the Holy Spirit to stay inextinguishable. At His day Christ will ask from us to be free from fear, ego, materialism, slyness, hypocrisy. In other words the ignorance of the scriptures makes us foolish. For it is just like a man about to go on a journey, who called his own slaves and entrusted his possessions to them. 15 To one he gave five talents to another two and to another one each according to his own ability; and he went on his journey. 16 Immediately the one who had received the five talents went and traded with them and gained five more talents. 17 In the same manner the one who had received the two talents gained two more. 18 but he who received the one talent went away and dug a hole in the ground and hide his master’s money. 19 now after a long time the master of those slaves came and settled accounts with them. 20 the one who had received the five talents came up and brought five more talents saying. Master you entrusted five talents to me. See I have gained five more talents. 21 His master said to him well done good and faithful slave. You were faithful with a few things I will put you in charge of many things; enter into the joy of your master. 22 Also the one who had received the two talents came up and said master you entrusted two talents to me. See I have gained two more talents. 23 His master said to him. Well done good and faithful slave. You were faithful with few things, I will put you in charge of many things; enter into the joy of your master. 24 And the one also had received the one talent came up and said master I knew you be hard man reaping where you did not sow and gathering where you scattered no seed. 25 And I was afraid and went away and hid your talent in the ground. See you have what is yours. 26 But his master answered and said to him. You wicked lazy slave you knew that I reap where I did not sow and gather where I scattered no seed. 27 Then you ought to have put my money in the bank and on my arrival I would have received my money back with interest. 28 Therefore take away the talent from him and give it to the one who has the ten talents. 29 For to everyone who has more shall be given and he will have in abundance; but from the one who does not have even what he does have shall be taken away, 30 Throw out the worthless slave into outer darkness; in that place there will be weeping and gnashing of teeth. The talents are the spiritual gifts that God offers to all of us, for the improvement of our life working for the glory of God but not for our personal benefit. Repentance increases the numbers of talents but we have to use them carefully with wisdom for the glory of God and the salvation of the people. The talents are the elite gifts from God, let’s appreciate and honor the Father God. The king will answer and say to them. Truly I say to you to the extent that you did it to one of these brothers of Mine even the least of them you did it to Me. Many man glorify God for the blesses and gifts they have. The real glory to God is revealed in the verses 31-46. The manner of glorifying God is the progress and the prosperity of our brothers because we share the blesses, the abundance of the one to the lack of others. The compassion of Christ made happy those who suffered. Giving and sharing is the glory of love is the glory of God. Even the disciples who lived closely with Him were indignant. Love for the poor it was an excuse, the indignation against God always comes from the evil. Today if we have the presence of Christ we could be in the same position of the disciples, it is a matter of spiritual maturity. To avoid this trap of indignation we have to study the word of God and resemble Christ. When the tribulation comes then we see how great the love is for our brothers and for God. Hypocrisy is the greatest enemy of man, the greatest demon that exists. God said woe to hypocrites. May God forgive his children of the hypocrisy? Admittedly, it is foolish to plan other things and to say other before God and supposedly hidden from Him. Judas seems clear that, for nearly three years, he didn’t understand who the teacher is. He did not believe in the powers conferred on Jesus, in order to open himself to God and to be advised in anything. So he thought he can fool God, unfortunately this happens to anyone who is possessed by spiritual frivolity. I wish to be mature spiritually so our life is real and eternal. We know that God is not far from our secret life, and blesses it. Lord revealed: But when you pray, go into your room and then you have shut your door pray to your father who is in secret place and your father who is in secret will reward you openly. The kingdom of heaven, the kingdom of love, the kingdom of joy it is the new wine (our destiny) the Father’s kingdom on earth. Jesus said: I am with you always even to the end of the age. Which age? Evidently the age of sin. The Last Supper will be repeated in complete different conditions in our life with the spiritual bread and wine, because the vine yard (society) will change to people of God (the new Jerusalem). The tempter (evil) is always beside us, and according to our spiritual proceed stays beside or enters in us. Intellectual seriousness, on the effort of cleanliness; will supply us with the ability to avoid the tempter. Jesus is calling us but many of us reject the invitation as corollary to the tempter to preponderate our life. Lack of confidence to Christ, absence of the Holy Spirit, ignorance of the word of God make the man vulnerable to evil. For the born again man who conceives that everything works for good to those who love God the tempter and the transient system of the world has no influence on him. The excitement when there is no awareness hides frivolous answers. If we will like never to be stumble by anything we should have awareness of the spiritual world and its laws. We have to spend many years on this effort to gain experience. The mercy and the wisdom are both essential virtues that will prevent us from the scandals. Prayer is the driving force of everything in this age and in the future. Here, Lord reveals the weakness which prevailed to the human nature. But the wisdom and the will of God provided to Him strength to continue His beneficial to mankind deed. We must never remove from our mind the omnipotence of God. We will knock continually (the door of God) to help us to defeat the evil self within us and the spirits who impinge in our lives. For we do not wrestle against flesh and blood but against principalities against powers against the rules of the darkness of this age. The spirit captures the wisdom of God. The spirit wants to adopt and follow the will of God but the flesh is weak suffers is unable to follow the spirit, when this happens we need vigil and prayer to improve the spiritual strength. The vigil is needed to exploit the time to study the gospel and establish the will of God in us. The prayer is needed for our spirit to form an alliance with the spirit of God to be strengthen and able to submit the flesh and vivify it. If the spirit is a unable to vivify the flesh we have to change spirit, to discover the spirit of Christ which will vivify us. It is the spirit who gives life the flesh profits nothing. The words that I speak to you are the spirit and they are life. So then those who are in flesh cannot please God. But you are not in the flesh but in the spirit if indeed the Spirit of God dwells in you. Now if anyone does not have the spirit of Christ he is not His. Under this Spirit of God for many years now the voice of god has create a spiritual property which triggers the interest of people and we give it for free through the internet (voice of god incorruptibility). Is normal when someone has knowledge about the life and the properties possessed by God, He is not willing to suffer the physical death, because God is life. But in front of God’s will He accepts the mission to become an example, He goes to the lower place for to raise the mankind, with no exemption of the colour or society, to the level of God. Oh Jesus we have no words to thank you for the great sacrifice for the huge mercy to all directions for the mankind You are unique. It is natural for someone to hesitate in front of the death, is worth the sacrifice? We see today men having many spiritual and material bless and they hesitate to give even a smile. There are others who do something to God and they demand much more to satisfy their personal ambitions proving that there is no God in them. I would like to remind that we have to follow God with joy to the mountain Tabor and with joy to Calvary. In this unique moment the superiority of the spirit leaves us breathless. I am impressed by the decision and the spiritual maturity, while, knowing that he is going to sacrifice himself been prepared to go like to a normal event. Only the spirit of God can create such a spiritual status in a man. Only with the spirit of God we can practice the word of God. It is written; Even though I walk through the valley of the shadow of death, I will no fear evil, for You are with me. Immediately Judas went to Jesus and said, “Hail, Rabbi!” and kissed Him. 50 And Jesus said to him, “Friend does what you have come for.” Then they came and laid hands on Jesus and seized Him. The friend can be easily a traitor even an enemy, but a real friend is given by God. Someone said there no friends there are interests. It is not easy to make a friend it takes time and patience. If someone finds a friend he finds God. Several times we stab with our words, with our works, with our behavior, certainly, Peter, acted with superficiality with a human logic to protect his teacher. But his teacher has not the same principles the protection was coming directly from heaven. The logic of man is for the earthy the wisdom of God is for the harmony of the universe. Today we have among us all those who beat and slap Jesus, those who persistently stay in dry formalism and fanaticism, and those who are unaware of the scriptures and have substantial ignorance, willingly or unwillingly perpetuate this behavior. Now Peter was sitting outside in the courtyard, and a servant-girl came to him and said, “You too were with Jesus the Galilean,” 70 But he denied it before them all, saying, “I do not know what you are talking about.” 71 When he had gone out to gateway, another servant-girl saw him and said to those who were there, “This man was with Jesus of Nazareth,” 72 And again he denied it with an oath, I do not know the man.” 73 A little later the bystanders came up and said to Peter “Surly you too are one of them; for even the way you talk gives you away.” 74 Then he began to curse and swear, “I do not know the man!” And immediately a rooster crowed. 75 And Peter remembered the word which Jesus had said, “Before a rooster crows, you will deny Me three times.” And he went out and wept bitterly. Denial and curse is coming out the hour of temptation from fear and mistrust to the creator. Many of us when things are going smoothly glorify God, but when the first difficulty appears it puzzles us and easily present refusal to God and to those who introduced God to us. Because we don’t know that God is working through the good and the bad to reborn evolve and bless us. Every man should reach the point (the spiritual maturity) have the awareness of the events and when he comes in front of difficult situations to have complete trust to God. Then when Judas, who had betrayed Him, saw that he had been condemned, he felt remorse and returned the thirty pieces of silver to the chief priest and elders. Judas did not repent he regret, when he delivered Christ he realized that he lost the merchandise (the cow he was milking) he traded (the cow) for thirty pieces of silver, he could not forgive himself for the mistake, because he understood that Jesus was priceless merchandise to himself. Later some others grab the opportunity and until today they make money, erecting buildings, possessing real estate assets, collecting precious metals elite gems and valuable gifts all in the name of Christ. Repentance is awareness of the mistake, there is nothing common between Peter’s repentance and Judas’s regret. Then Pilate said to Him, “Do You not hear how many things they testify against You?” And He did not answer him with regard to even a single charge, so the governor was quite amazed. Pilate was marveled for the manner that Jesus confronted the accusations. For the governor was a rare phenomenon the untouchable character of Jesus. The confidence to Father’s decision it is still an inexplicable behavior, the spiritual maturity has adopted God’s will as bless. The time was coming and the death should be defeated. Previously Jesus was proclaiming: Blessed are you when they revile and persecute you and say all kinds of evil against you falsely for My sake, rejoice and be exceedingly glad, for great is your reward in heaven for they persecuted the prophets who were before you. From then and until now reigned Barabbas, which represents the ego, lie, cunning and stumble. Jesus represents humbleness, wisdom, love and incorruptible life and He is until today with the crown of thorns. Through the rebirth by the living faith and the incorruptible life we will take off the crown of thorns. The deification of man is the glory of God, voice of God prepares the path. If the water could scour the sin then no one should repent. In front of this situation Pilate should not jeopardize his position confronting the power of people and the authority of Cesar. We must set the truth above the interests because sooner or later we will face the righteousness of God. If we do the will of God we have nothing to be afraid. When God is testing us aiming our rebirth and at the time of tribulation we go through with dignity let’s be sure that God will reward us in hundredfold. Hail king of the Jews! What is the difference between those who mock and those who make money? In the name of Jesus! As they were coming out, they found a man of Cyrene named Simon whom they pressed into service to bear His cross. Through the centuries God has always (the man from Cyrene) ready to help us carry our cross. God with His omnipresence is developing the world and establishes His kingdom. And when they had crucified Him, they divided up His garments among themselves by casting lots. The scriptures are they which testify of Me. Jesus was obeying and practicing the will of God through the prophetic word. He was seen himself in every verse of Psalms and He took up on Him the obligation of proving that in the word of God there is eternal life. We, in the same way, have to see ourselves practicing the word of God because is written; You search the scriptures for in them you think you have eternal life. Prophesy is a gift of the Holy Spirit. The Holy Spirit never stopped working among the people evolving and meliorating the man creating the new reborn man of God. Three days for God is three millennium, we have entered to the third day (millennium). Is now the time for the temple (our physical body) to be built eternally? Is now the time for the transfiguration? Is now the time for the incorruptible everlasting life? In the same way the chief priests also, along with the scribes and elders were mocking Him and saying, 42 “He saved others; He cannot save Himself. He is the king of Israel; let Him now come down from the cross and we will believe in Him. God is not serving the unbelievers; God has no need to prove His presence, woe to those who waiting for the supernatural event to believe, the chief priests for those days and for today. It is not an easy thing, life to accept death, but for the fulfilment of the scriptures and the completion of the mission God had to abandon the earthy dwelling. The Son couldn’t live without the spirit of the Father and thus came the cry My God why You forsake Me? Many men felt this abandonment in their lives but the abandonment is intended to show the glory of God. Also many men under hard times and difficult situations accuse others and the God, condemnation is not a rational behavior, let us think God is training us to become perfect. The indignation has no place within us. Our tribulation it doesn’t lead us to death but to rebirth. Immediately one of them ran, and taking a sponge he filled it with sour wine and put it on a reed and gave him to drink. The lord asked for water and they gave Him vinegar. The prophesy was by David; Psalms 69:21 They also gave me gall for my food, and for my thirst they gave me vinegar to drink. Jesus asked for water not vinegar, but the power of the prophesy reached the moment of fulfilment. Heaven and earth may pass away however prophesy will be fulfilled especially if it comes from Jesus. Life is eternal does not die; it was not simple to come out of the dwelling it needs a cry for to come out. Never the less, Jesus put his life in ransom for many. And behold the veil of the temple was torn in two from top to bottom; and the earth shook and the rocks were split. The veil separates the holy of holies from the main temple. In the holy of holies Moses was entering to conciliate with God, after Moses were the priests. Jesus with His sacrifice on the cross offered to all men the privilege to enter to the holy of holies, this has not been conceived till today as a result people are still unable to see God face to face and talk with Him in privet. Today the voice of god helps any one, without partiality and discrimination, to enter to the holy of holies by faith, as all, may become ministers of the sanctuary and of the true tabernacle which the Lord has created but not man. After all by the wisdom of God all shall be taught by God. We don’t need mediators we are all able to conciliate with God staying in the sanctuary by purification and cleanliness. Indispensable elements are the decision, the repentance, the dedication and the rebirth. And laid it in his own new tomb which he had hewn out in the rock; and he rolled a large stone against the entrance of the tomb and went away. 61 And Mary Magdalene was there and the other Mary, sitting opposite the grave. These two women served Him, they have been beside Him for long time they couldn’t be absent in this difficult moment. The love that God pure in us is always active and acts under any circumstances. I have been through difficult moments in my life and I would like to thank all those who helped me all those who various manners pull me out of the stress. I thank you all from bottom of my heart. I pray to God to bless them all, and I pray for those who indifferent to my problems or they came against me, God bless them all. Earthquake had occurred also when Christ was on the cross and died. The earthquake in this case agitated much more the spiritual world than the ground. Since then the spiritual world glorify God and the angels cried out let us stand well. God glorified His Son who accomplished righteousness in front of God and men in a verity of signs in the physical and spiritual world. The example of Christ is giving us the privilege to apply righteousness of God and become partners of His glory. And his appearance was like lightning and his clothing as white as snow. When someone is acquainted with God his face from dark shadowed becomes bright. Today scientists reveal that when a man has joy and peace has a brighten face with high mobility and strong reproduction of the cells. Brightness of the body it’s a part of transfiguration and God’s glory. The first announcement for the resurrection of Christ it was to the women. Since then the woman is equal to man; there is no male or female in front of God. The woman has equal rights and obligations as a man we all are equals in God’s kingdom. When such great events are happening it is natural to occur fear, but this fear is covered by ineffable joy. This ineffable joy creates the condition of life and leads us to spiritual heavens. Then the reality comes and we have to adopt us according to everyday life but with the presence of God within us, so this will be obvious to our environment. Now while they were on their way some of the guard came into the city and reported to the chief priests all that had happened. 12 And when they had assembled with the elders and consulted together, they gave a large sum of money to the soldiers, 13 and said, “You are to say, and ‘His disciples came by night and stole Him away while we were asleep.’ 14 “ And if this should come to the governor’s ears, we will win him over and keep you out of trouble “ 15 And they took the money and did as they had been instructed; and this story was widely spread among the Jews, and is so this day. This lie stays even today among the Jews, but Christ has been preached to the nations by His disciples. This cover will remain until the nations will be filled. At the end the Jews will comprehend the great commission of Christ and will accept Him as the Messiah and as God. But the eleven disciples proceeded to Galilee, to the mountain which Jesus had designated. 17 When they saw Him, they worshiped Him; but some were doubtful. Those who hesitate are all those who cannot comprehend the great mission of Christ and the way of salvation which God have prepared for the man. I wish to all brothers who participate to the voice of god to adopt the doctrine of Christ without hesitation and vitalize the gospel today. Everyone gets a small part of spiritual powers, but when he is an approved child of light, through various temptation and trials, he will obtain power to everything. God has many gifts to all his children to give in order to become heirs of God joint heirs with Christ and partakers of His glory. Go therefore and make disciples of all the nations, this also creates a spiritual education through people and for the students insures sanctification. And for their sakes I sanctify Myself, that they also may be sanctified by the truth. Three are the persons who created the whole creation, the materialistic world we see and the spiritual that we don’t see. In the name of the Father the Son and the Holy Spirit we must be united and baptized. The baptism in the water it symbolize repentance the baptism in spirit it is the rebirth. Study the principles of the Triune God through the gospel. Since we adopt the principle and conceive the wisdom of God we proceed for the establishment of the kingdom within us and around us. But whoever does and teaches them he shall be called great in the kingdom of heaven. The man who does those things shall live by them. AMEN. Αναρτήθηκε από NIKOS στις 4:37 π.μ.